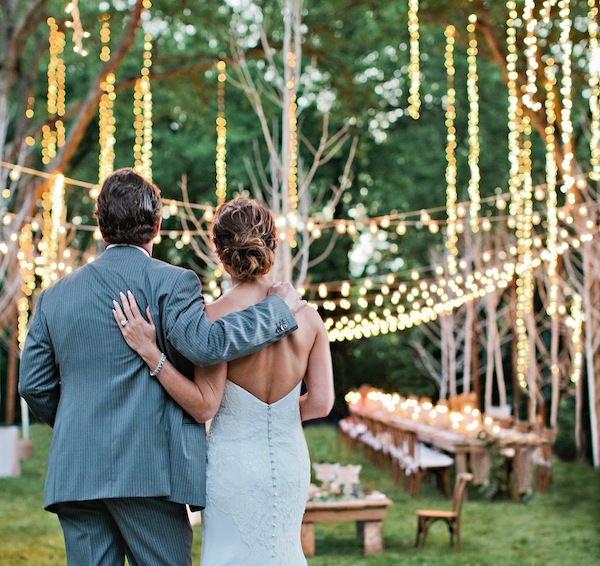 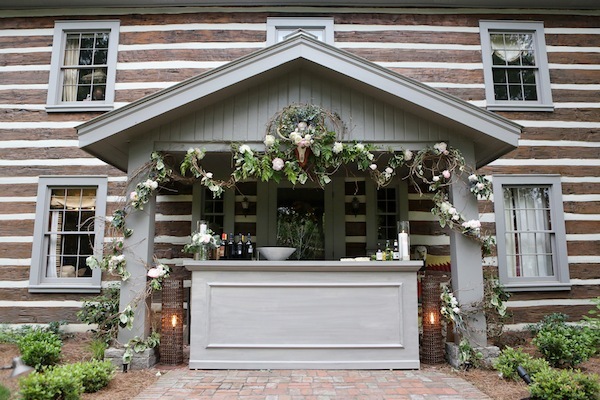 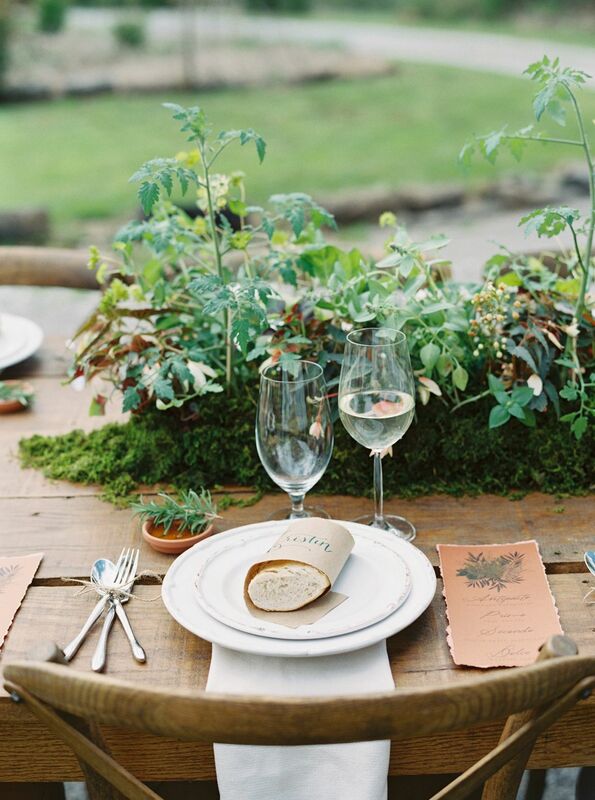 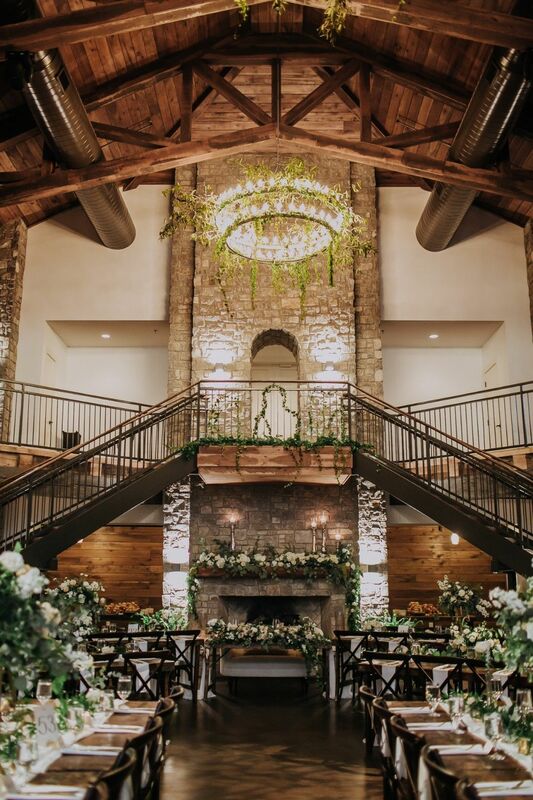 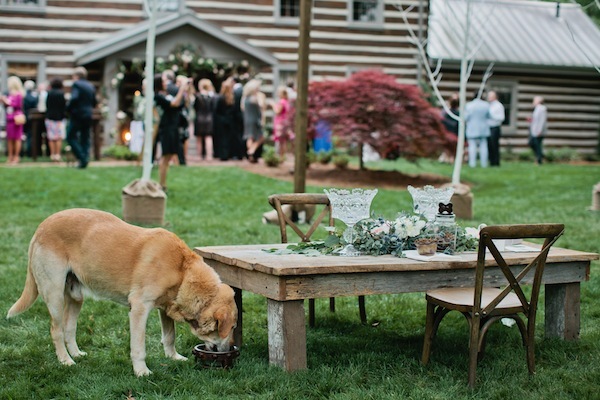 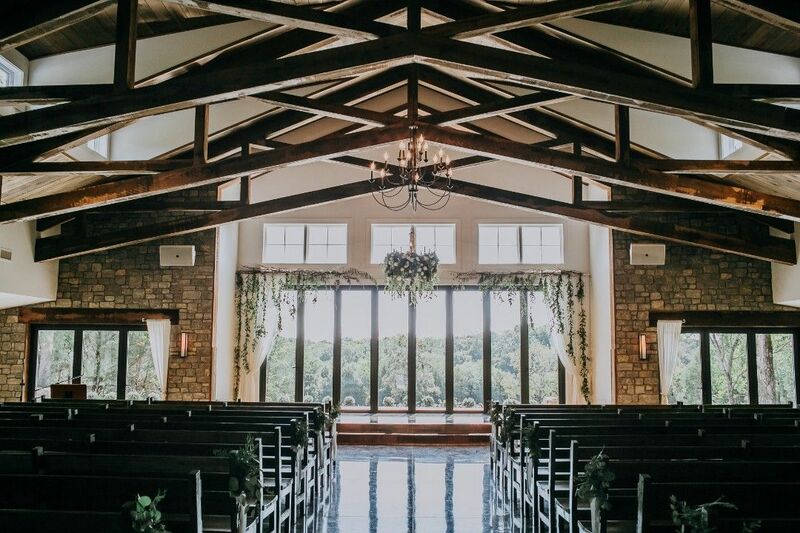 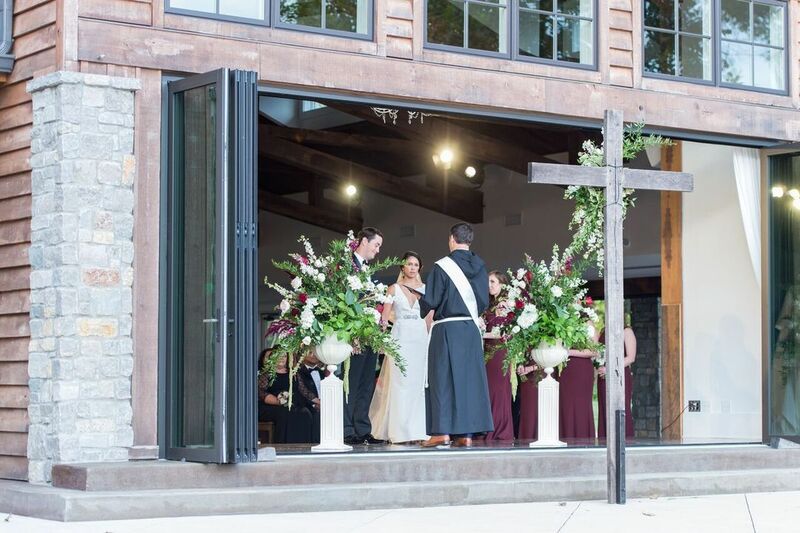 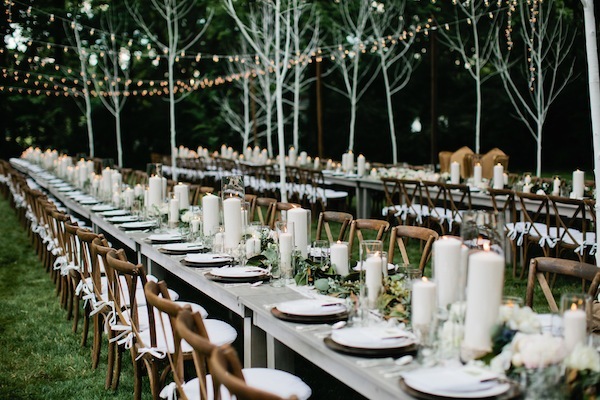 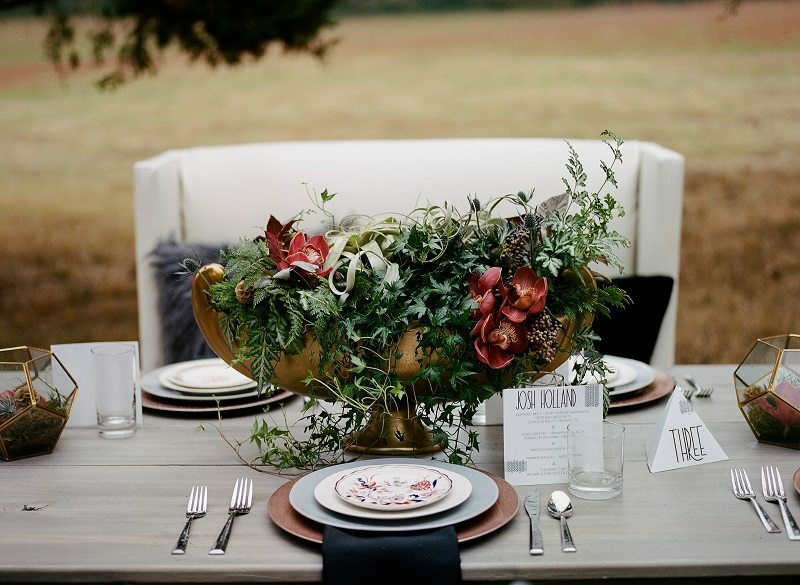 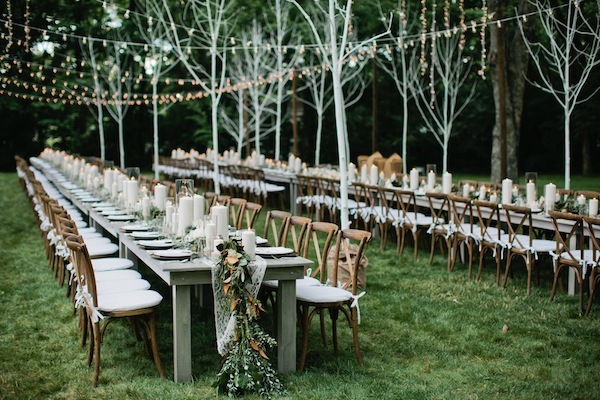 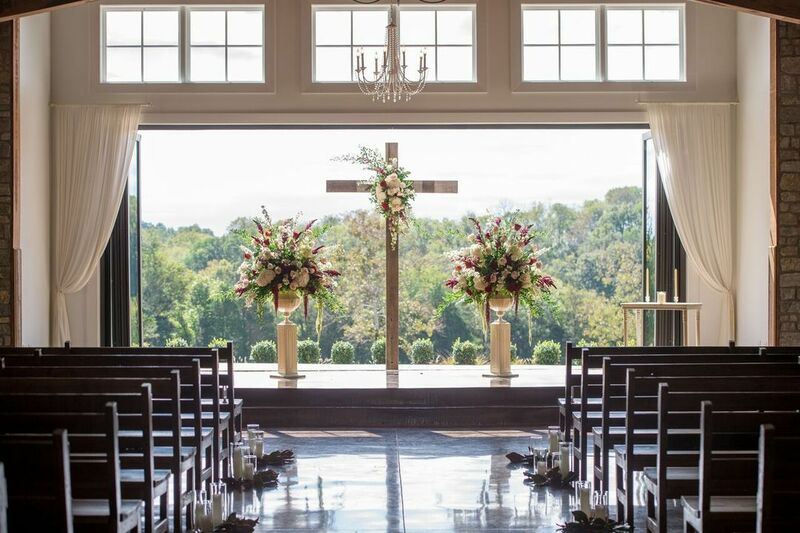 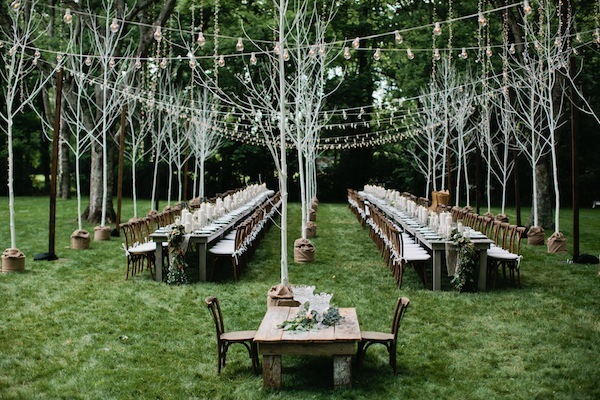 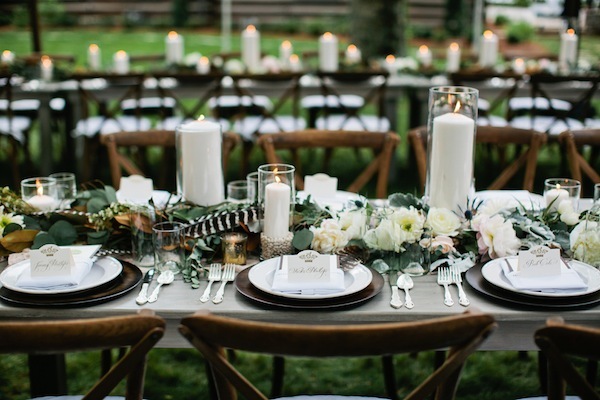 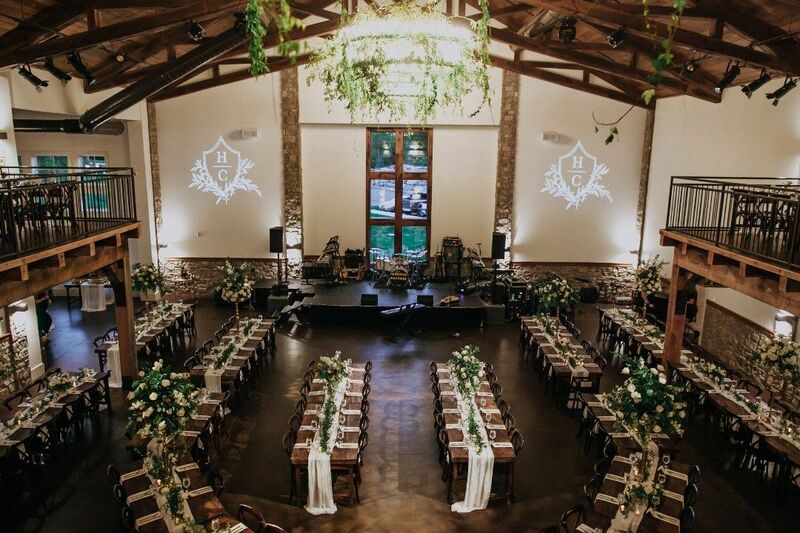 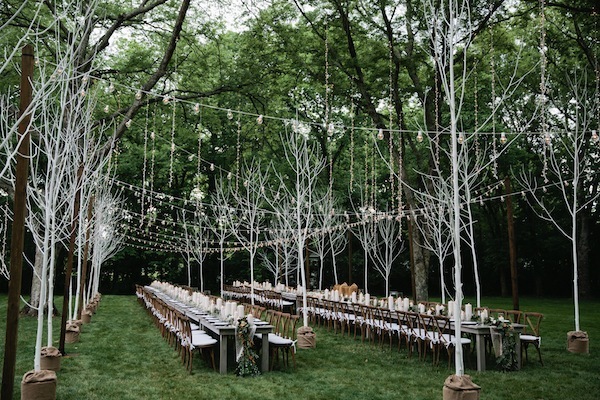 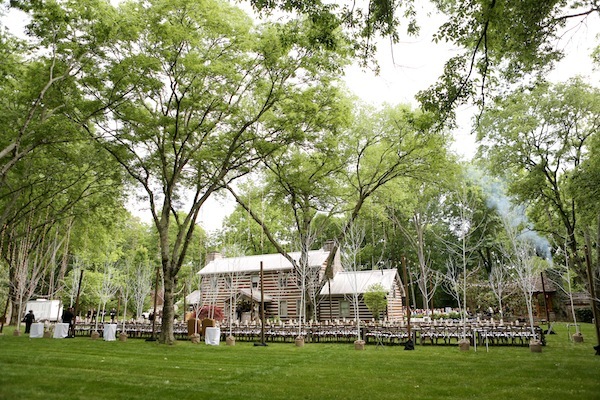 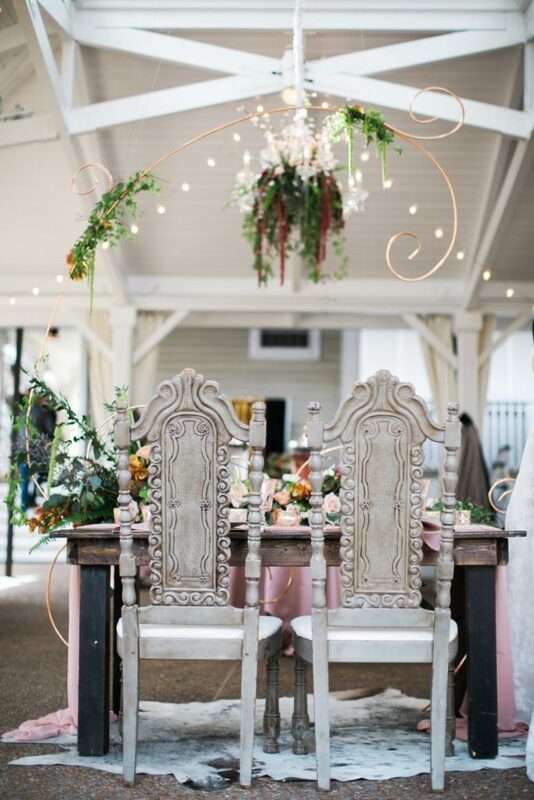 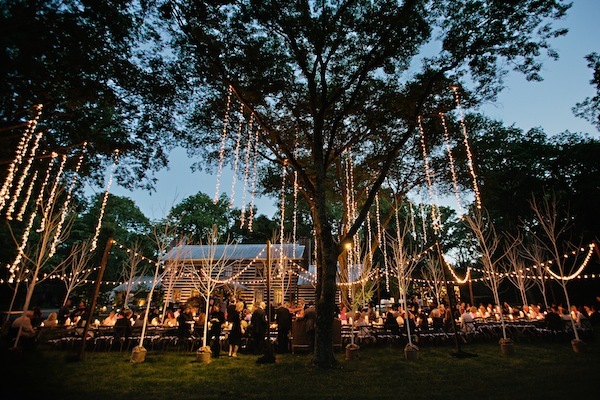 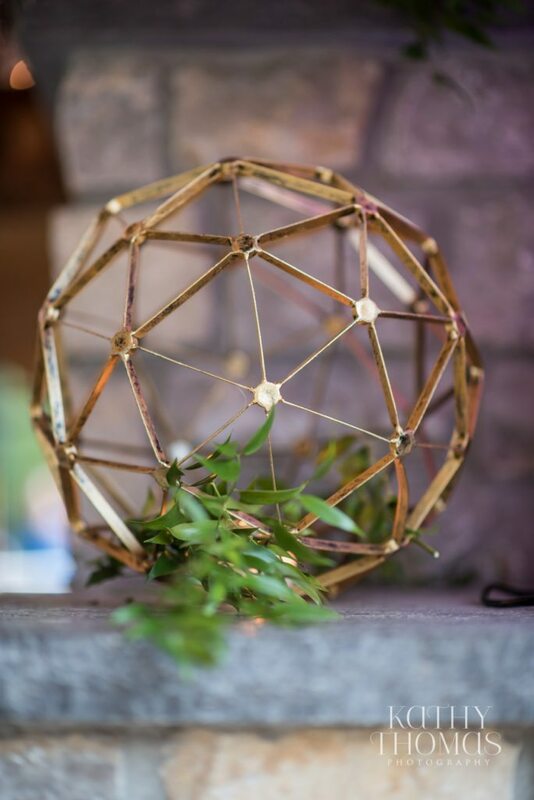 This luxe outdoor wedding at a private Tennessee home is a fairy tale come to life, full of rustic textures and opulent details. 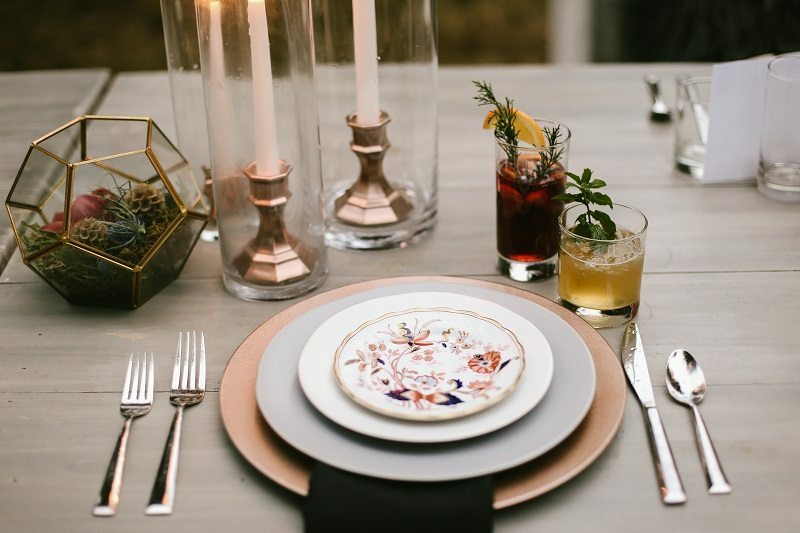 With expert design planning by Sara Fried of Fête Nashville, we selected a mix of our best-loved rentals and newest pieces for a sophisticated, woodsy style. 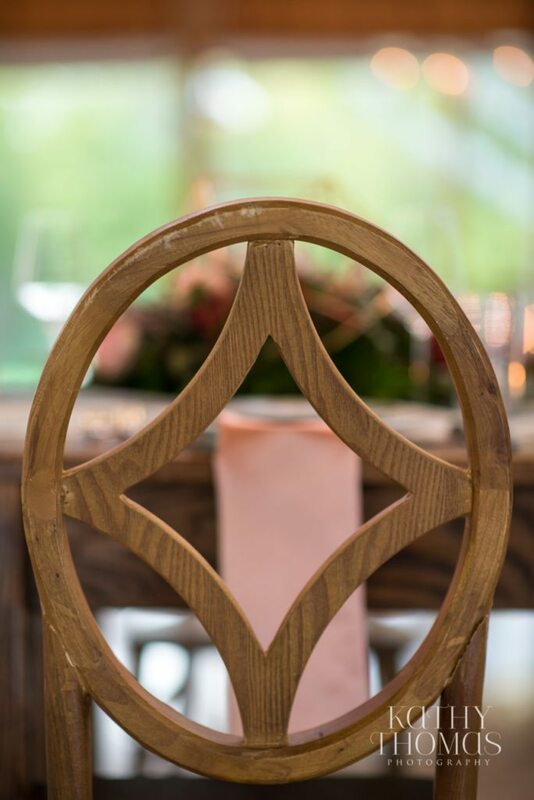 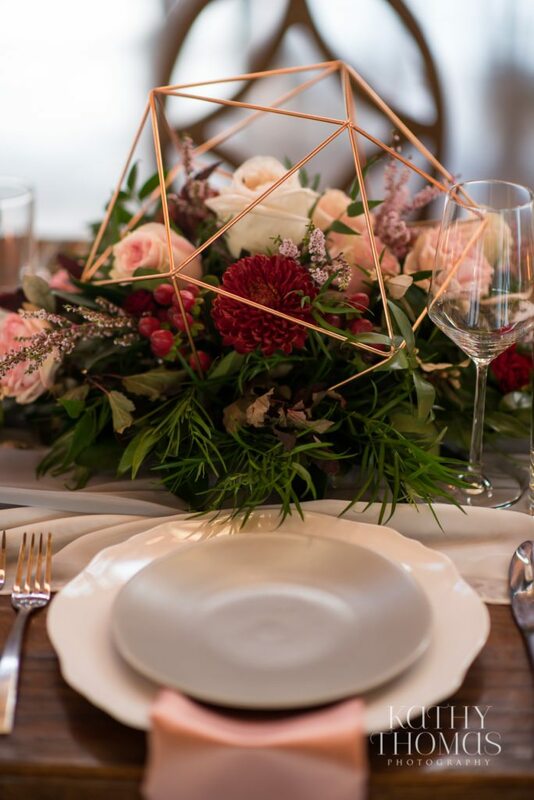 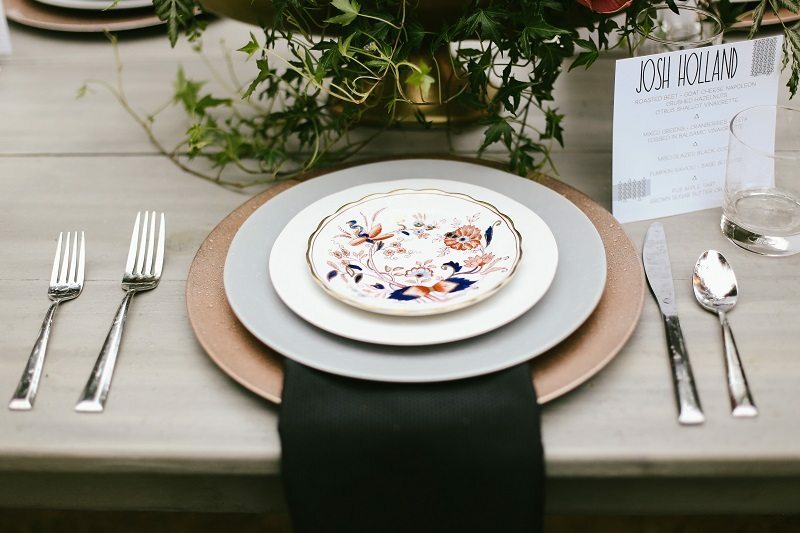 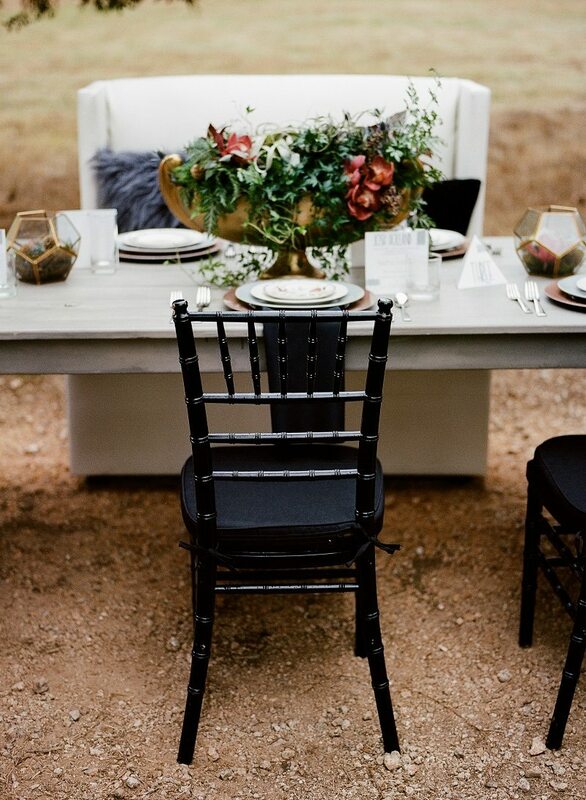 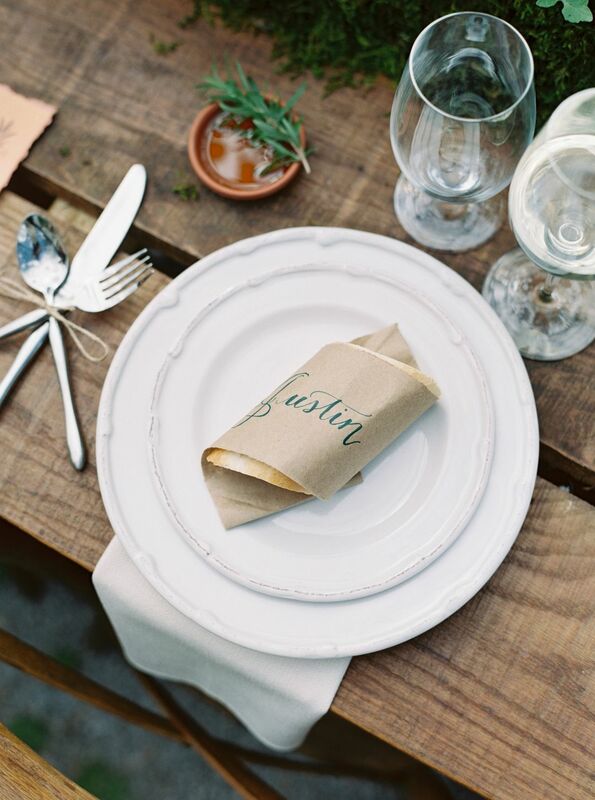 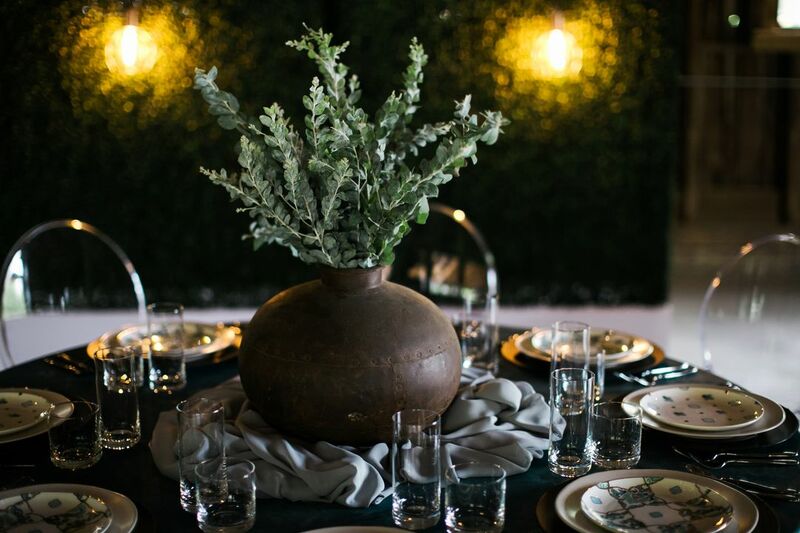 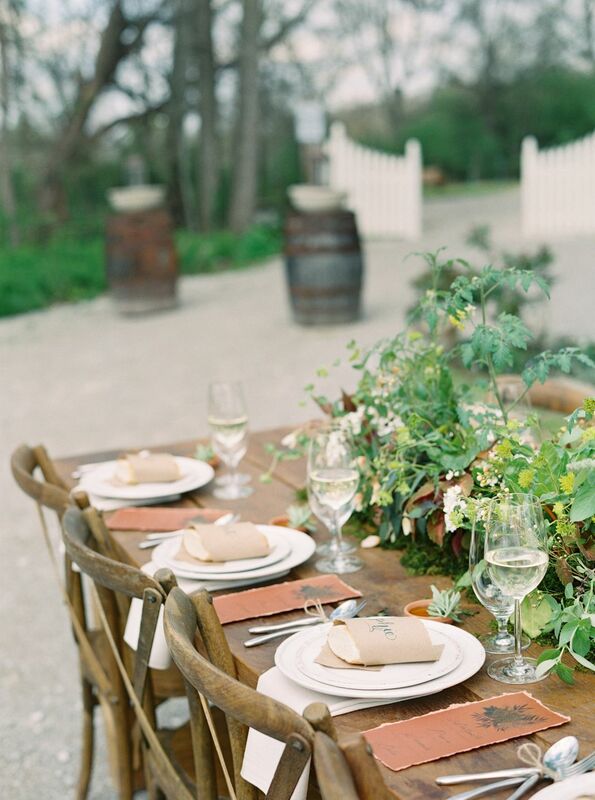 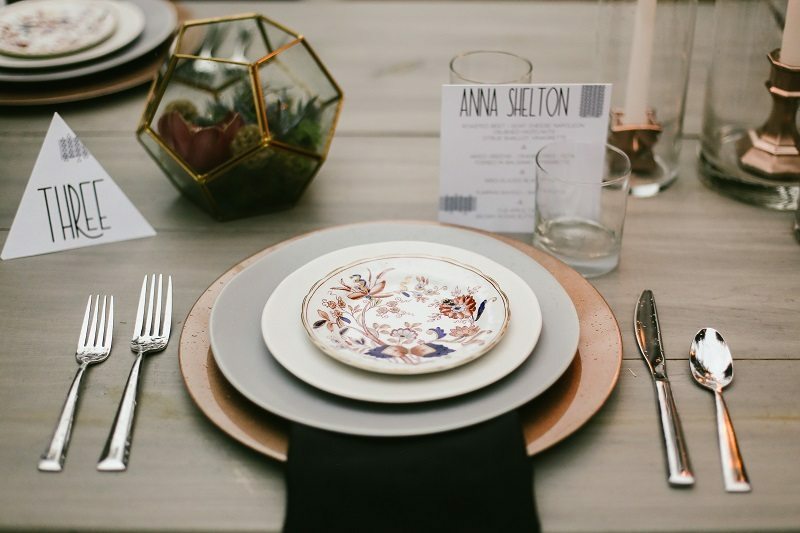 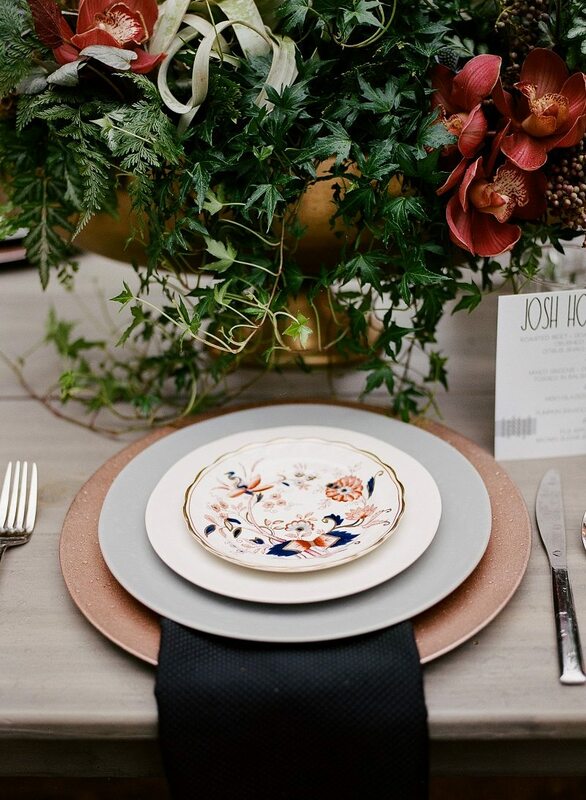 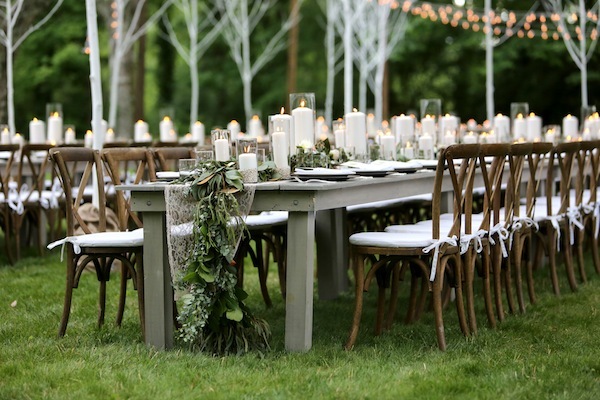 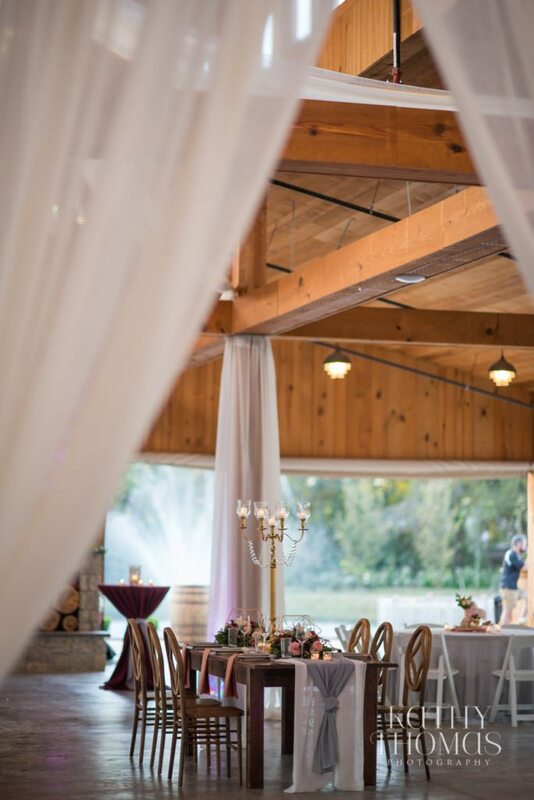 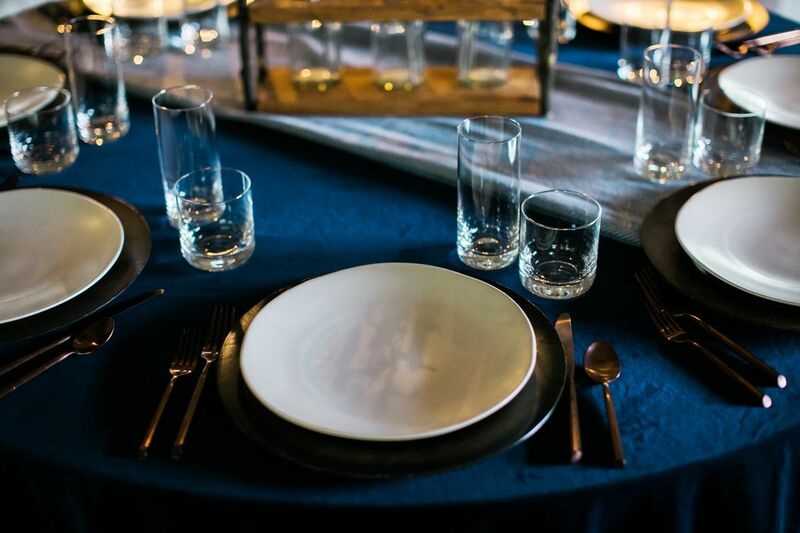 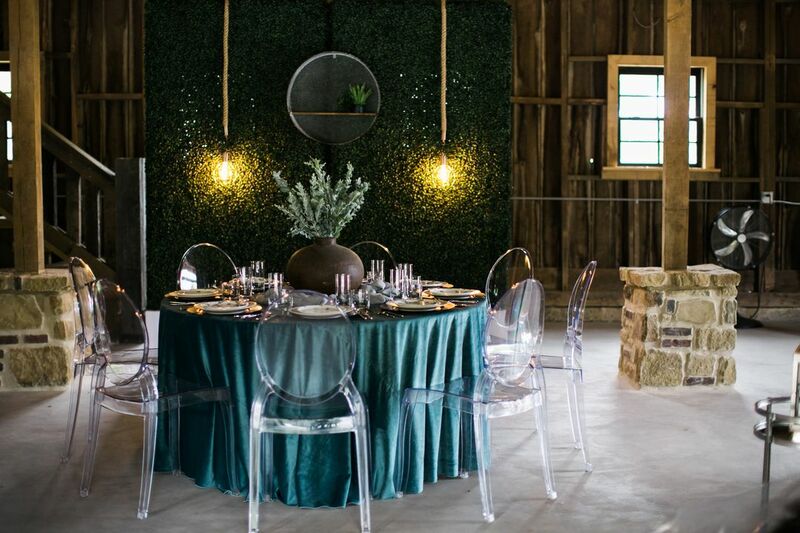 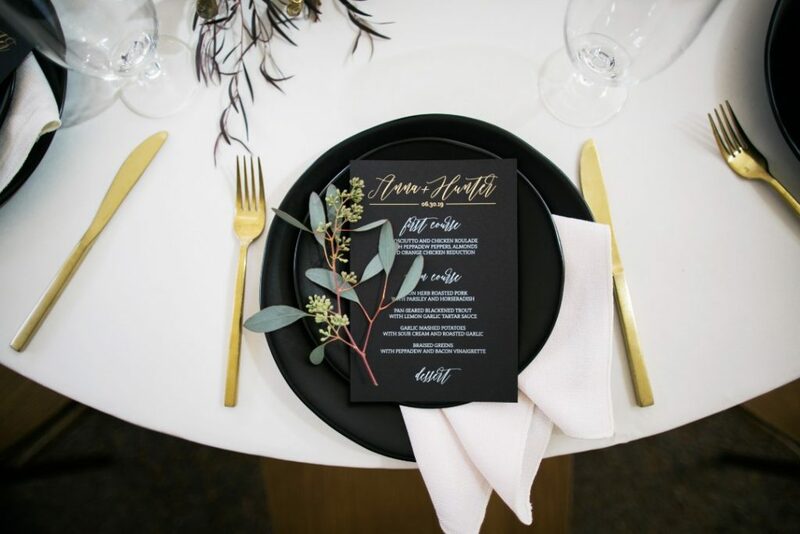 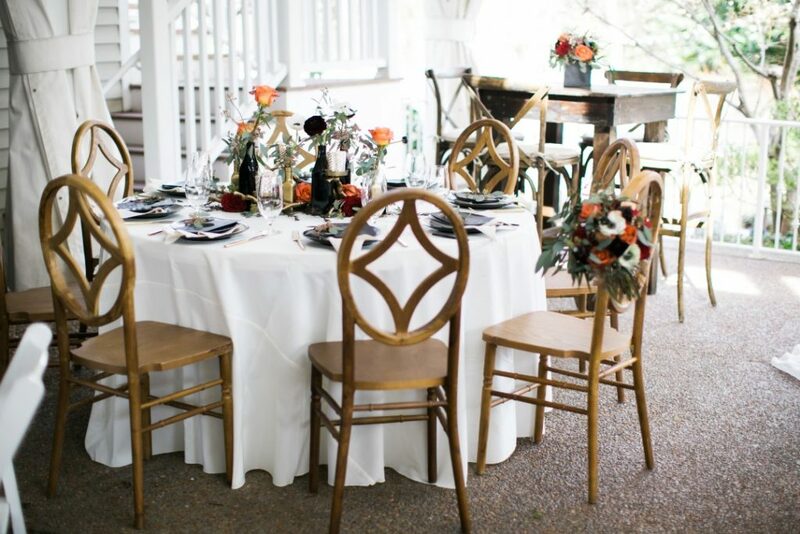 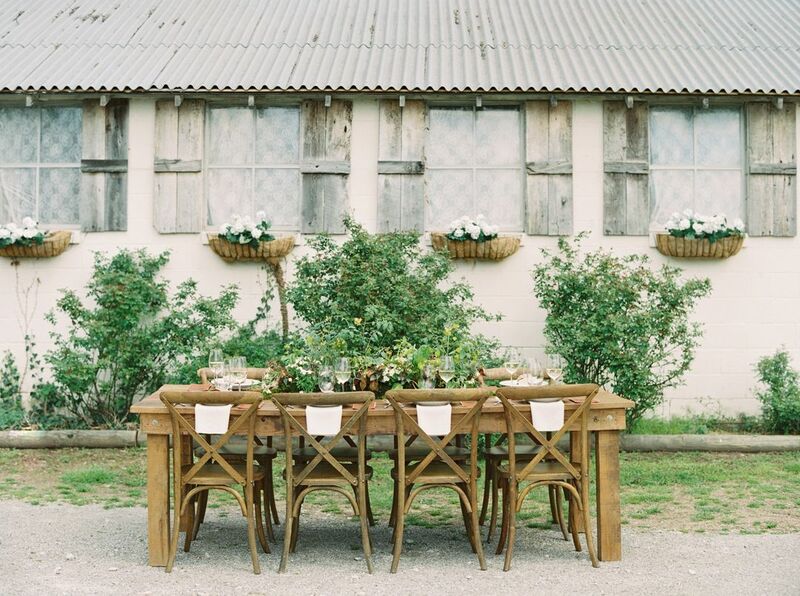 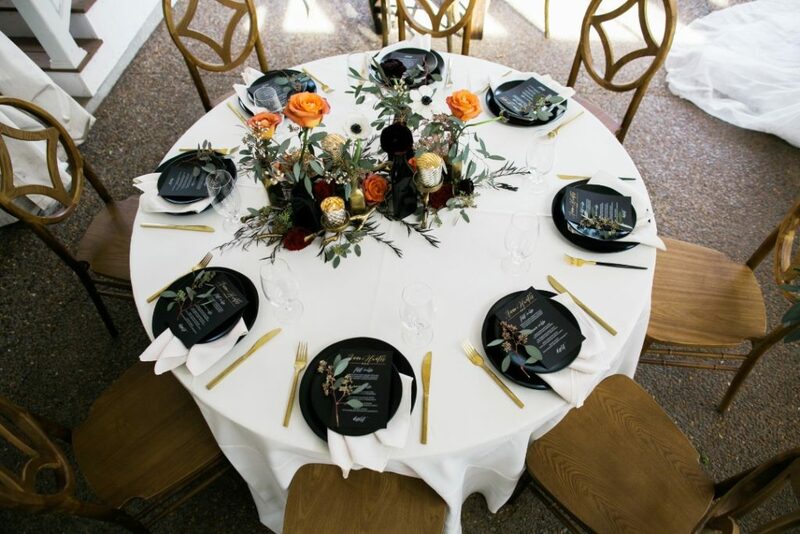 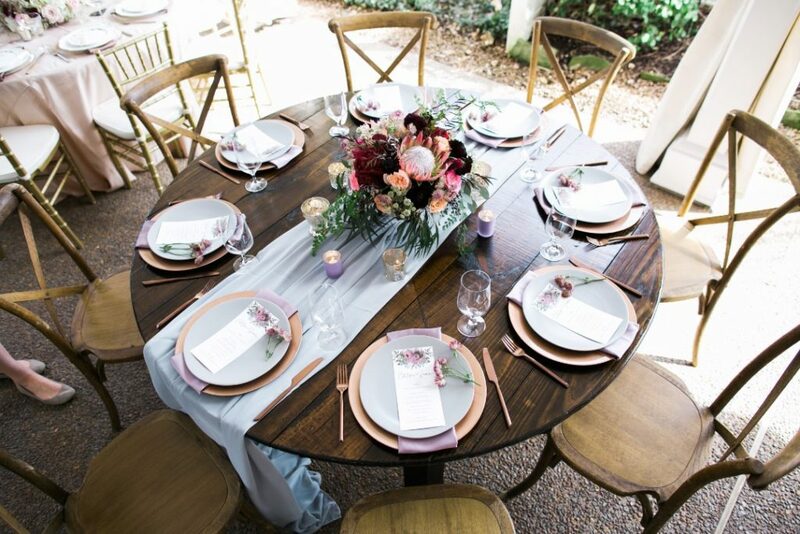 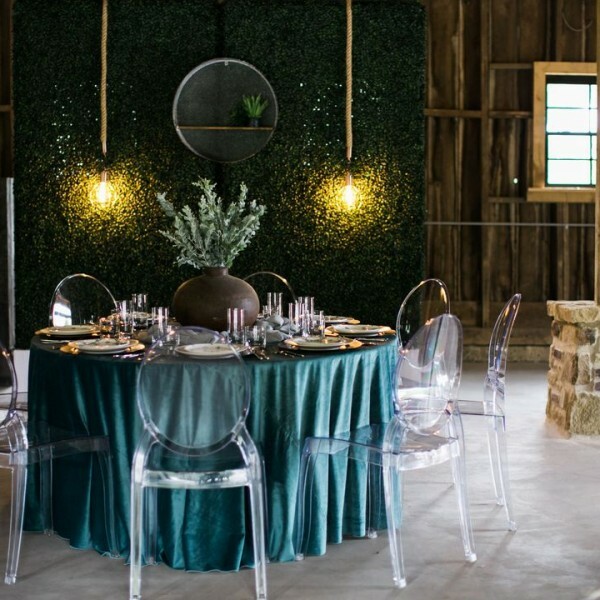 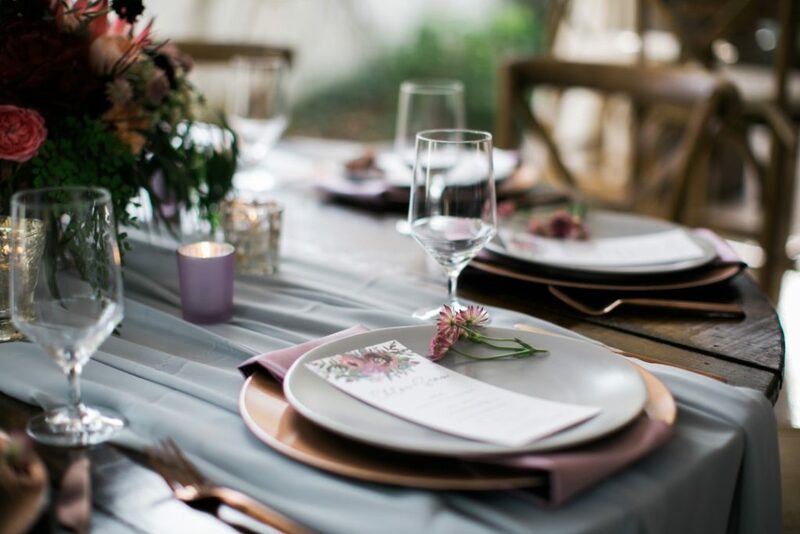 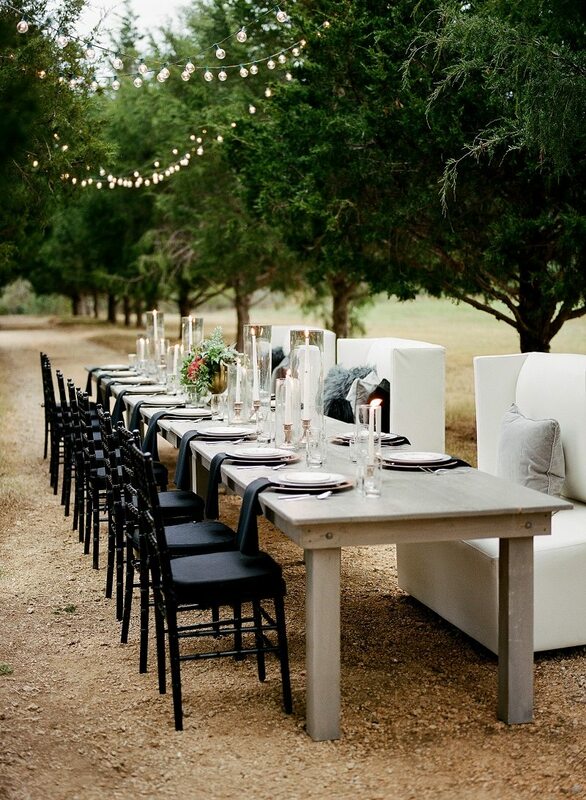 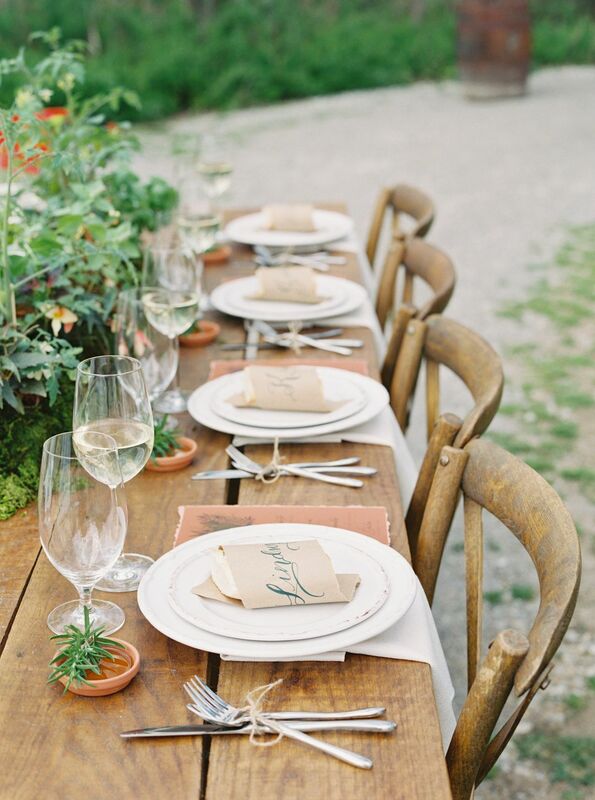 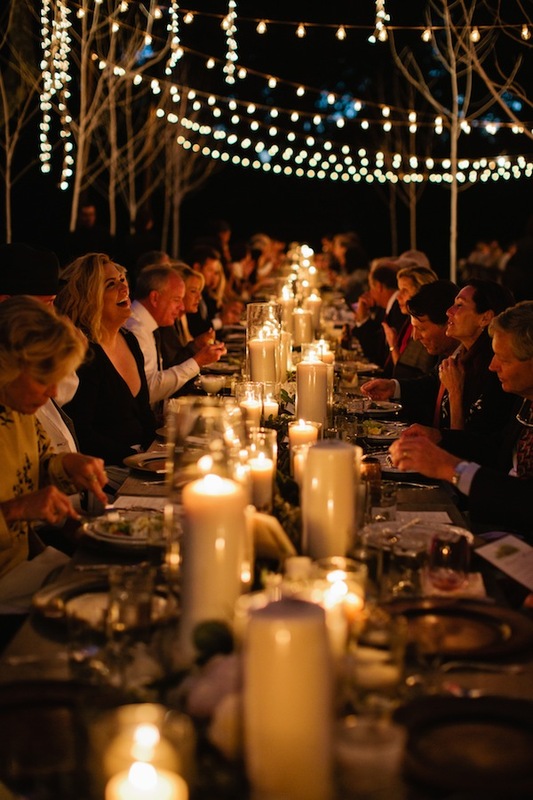 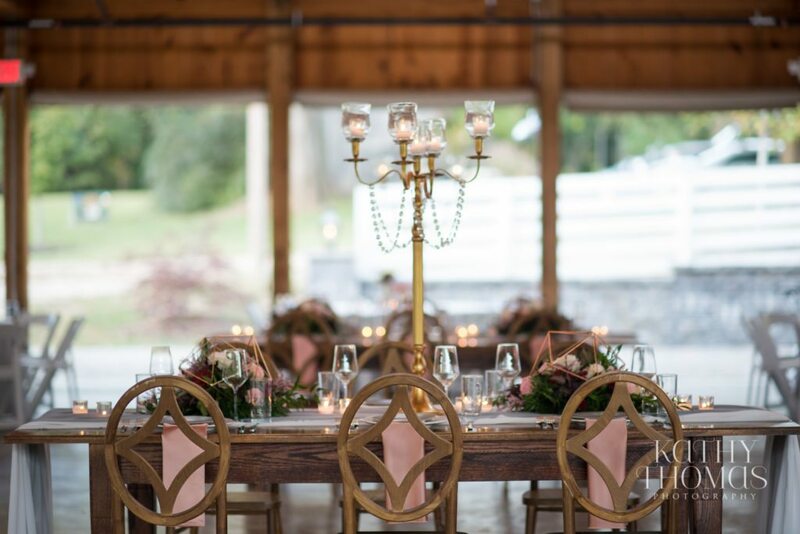 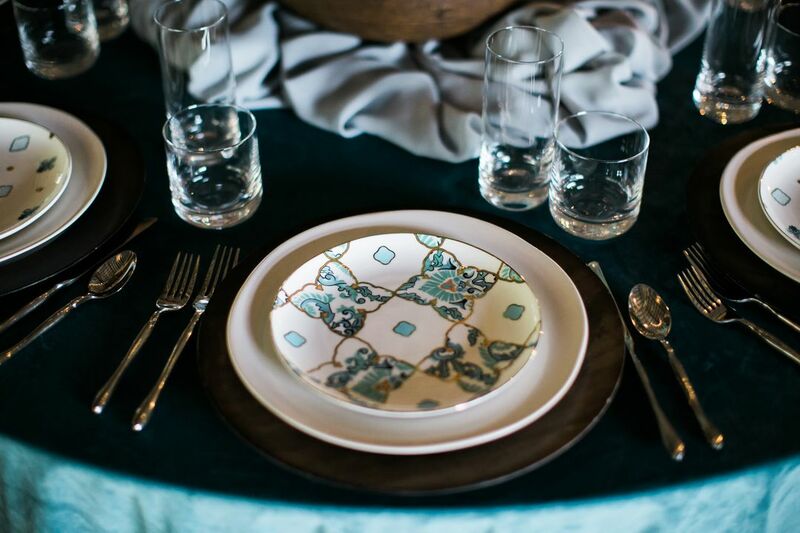 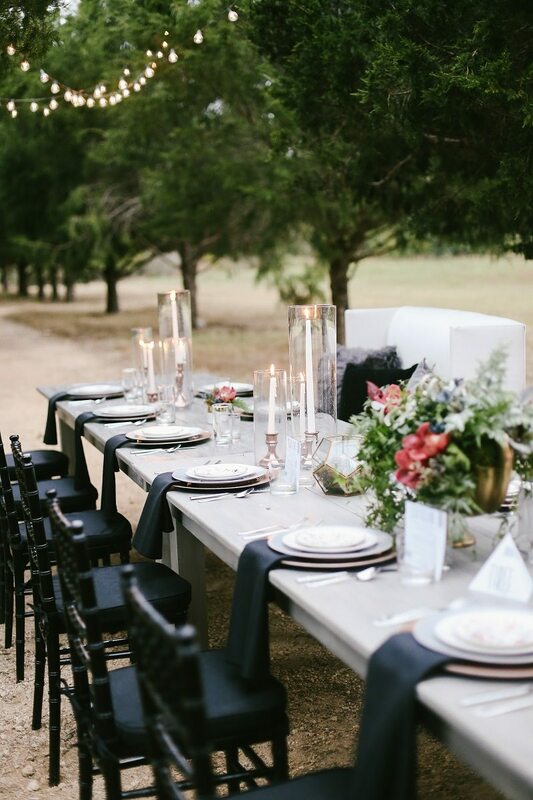 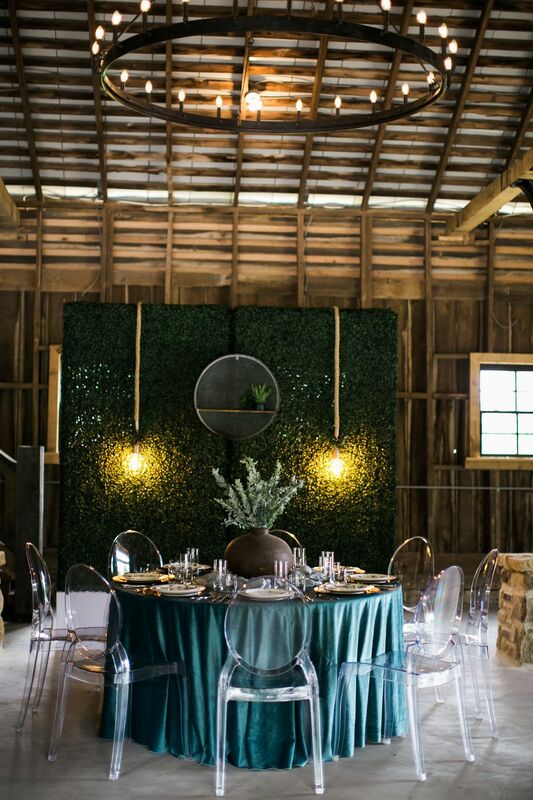 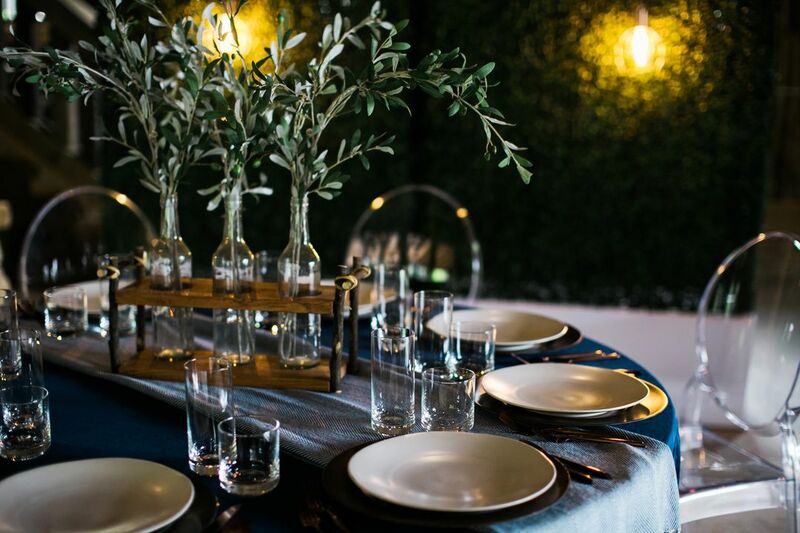 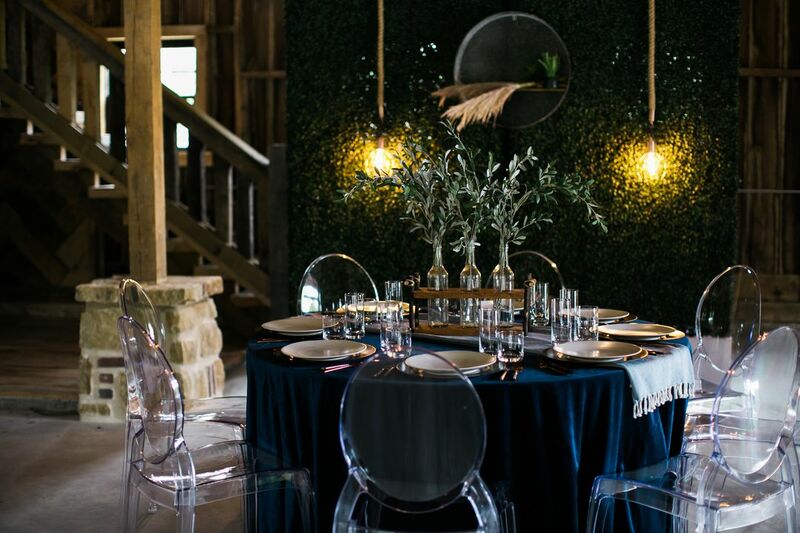 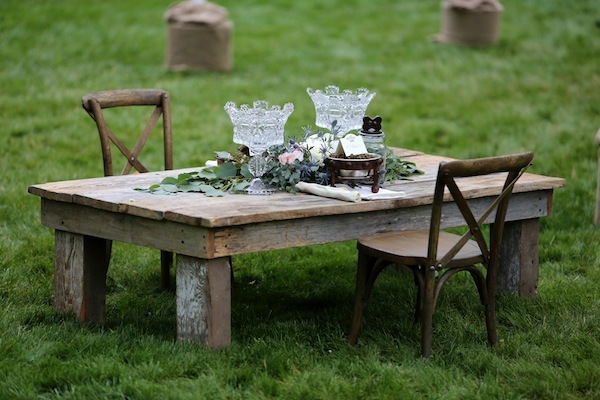 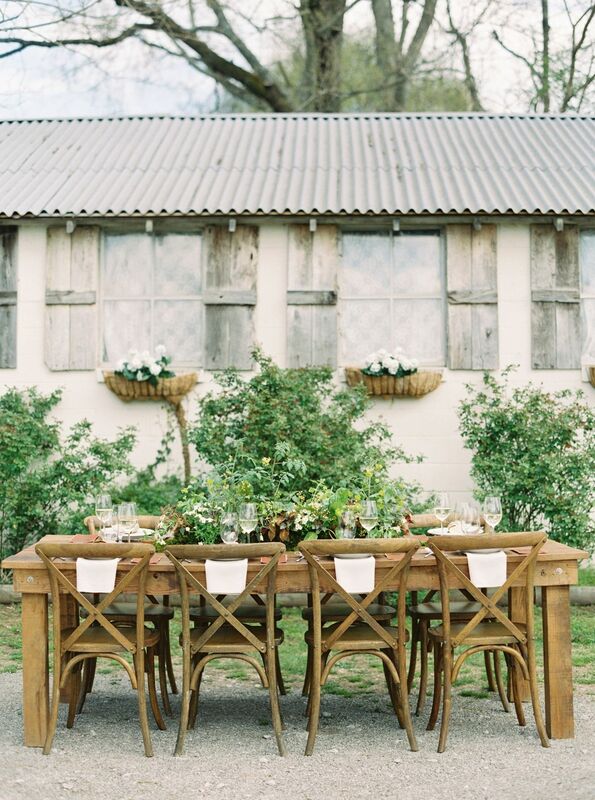 Guests dined at our Grayson Farm Tables and Crossback Chairs, with lace runners, Fruitwood Chargers, Artisan China, Hemstitch Napkins, and Abbey Fine Silver Flatware for an upscale place setting. 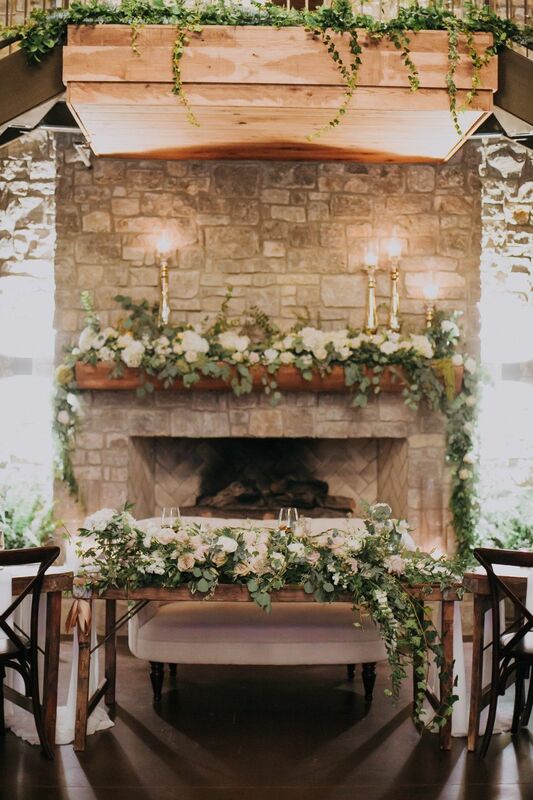 Lush floral garlands and candles by Enchanted Florist add romantic ambiance to complete the look. 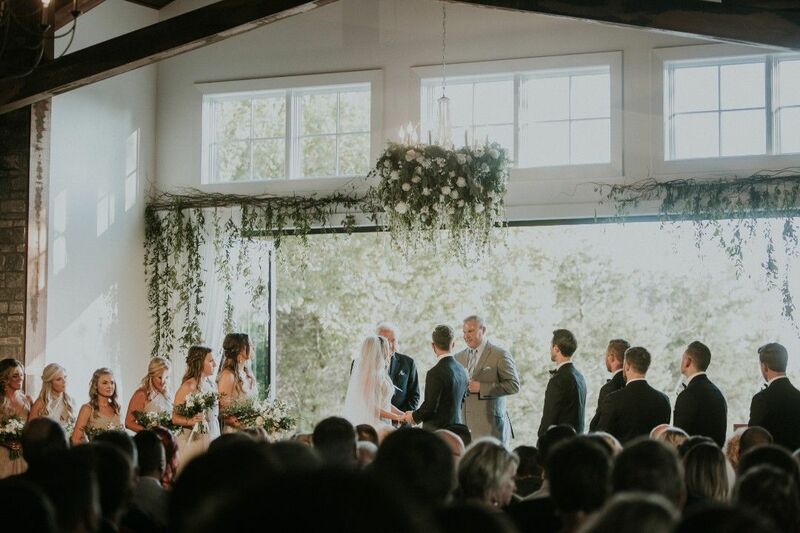 All in all, a truly gorgeous affair for our bride and groom, Memree + Rich! 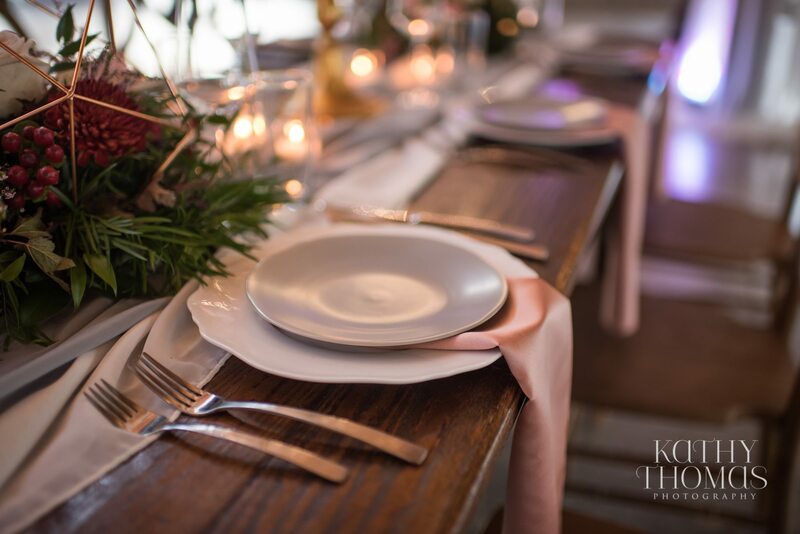 Thanks to Kristyn Hogan Photography for these photos! 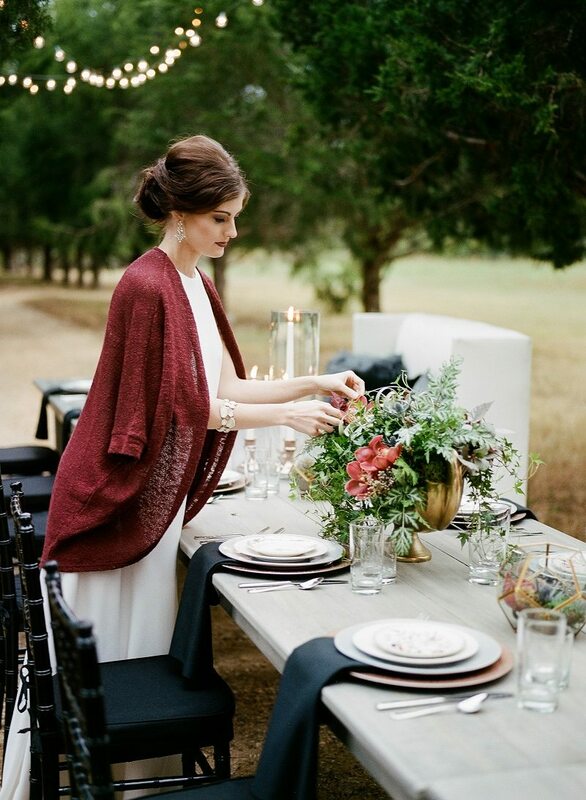 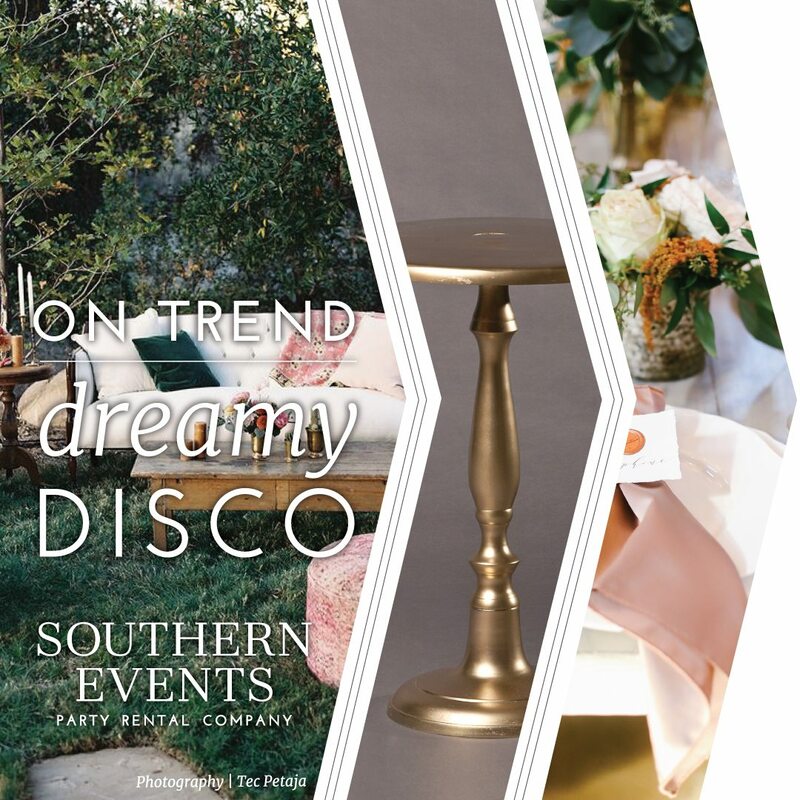 We were thrilled to work with Bruce Pittman for this lovely styled shoot at The Cordelle, for a feature in Brentwood Lifestyles. 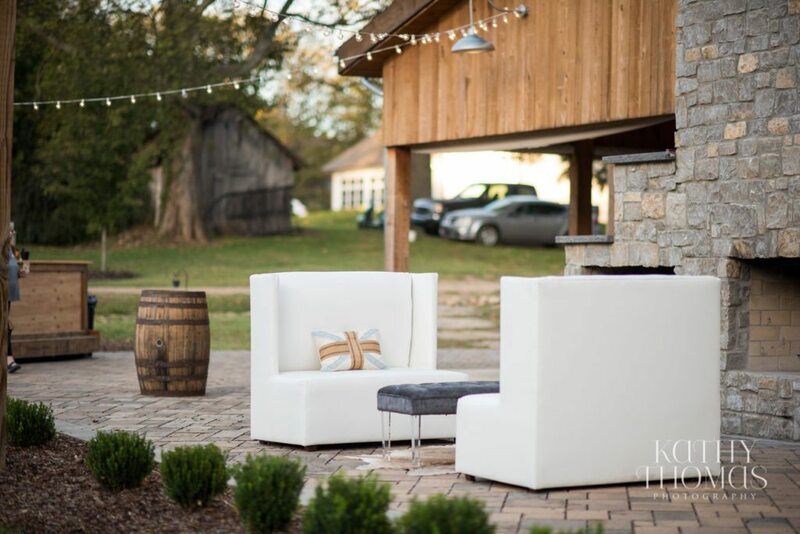 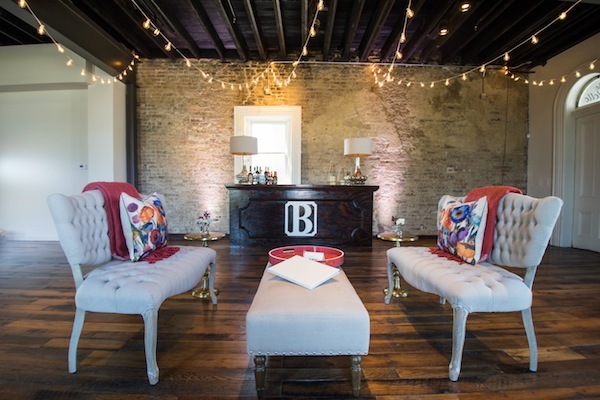 The cozy upscale lounge featured our Franklin Bar along with our new Tessa Tufted Loveseat and Bellamy Bench, accessorized coral blankets and colorful accent pillows. 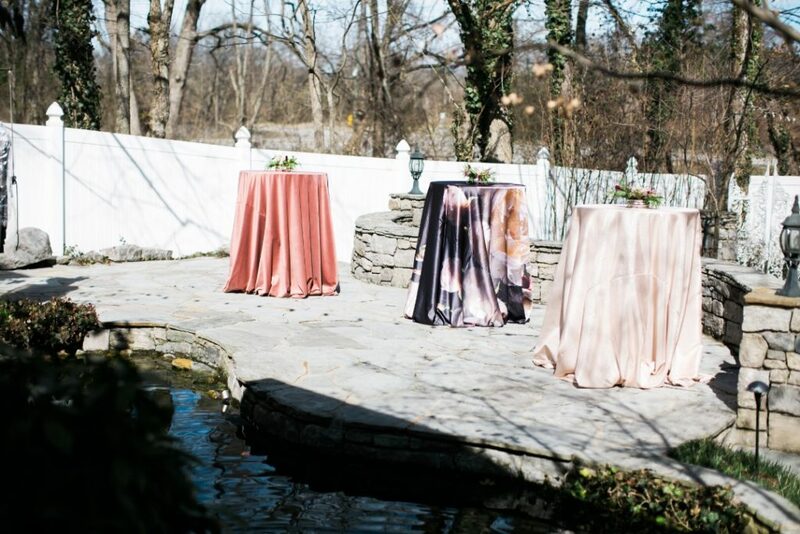 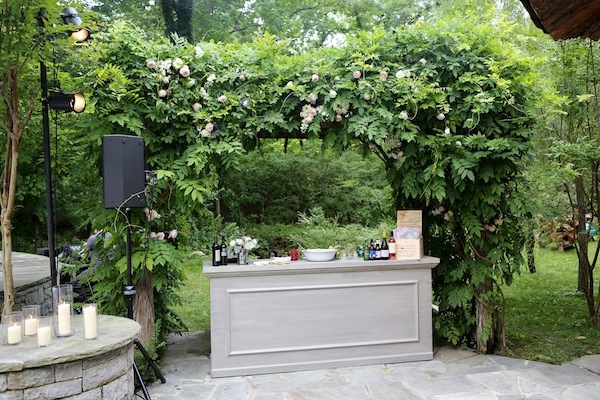 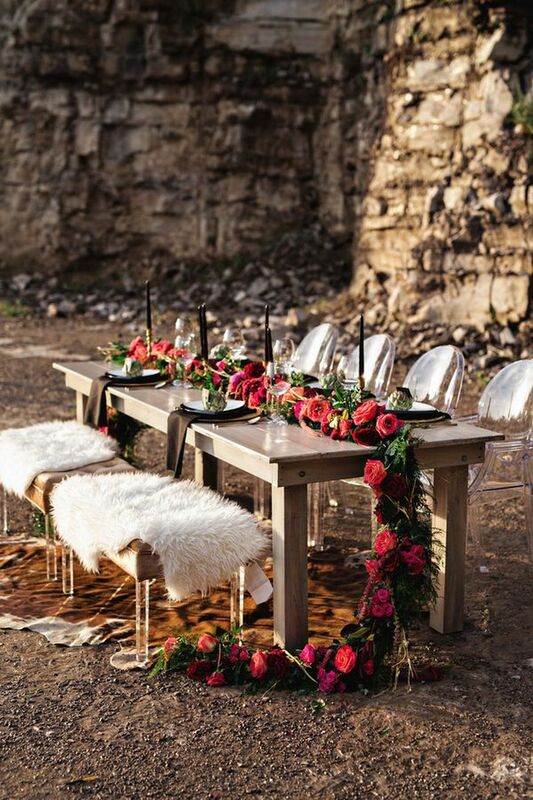 Outside, our Fiona Mantle was covered in florals for romantic ceremony scene. 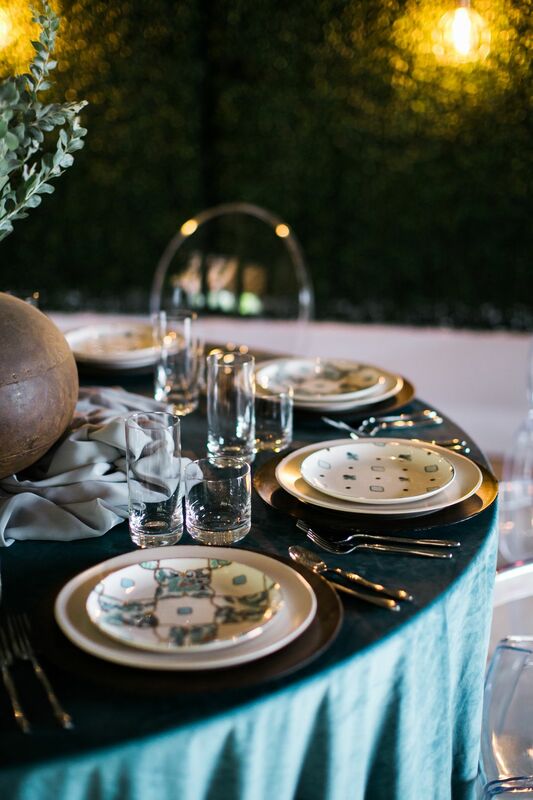 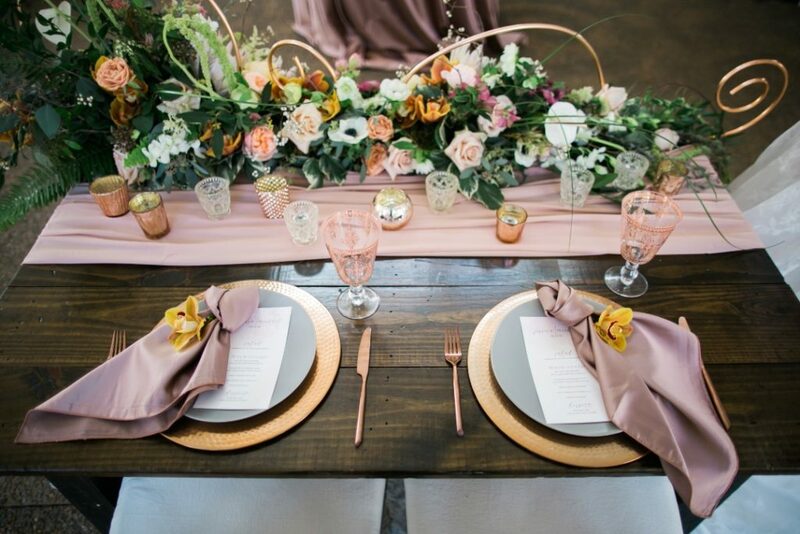 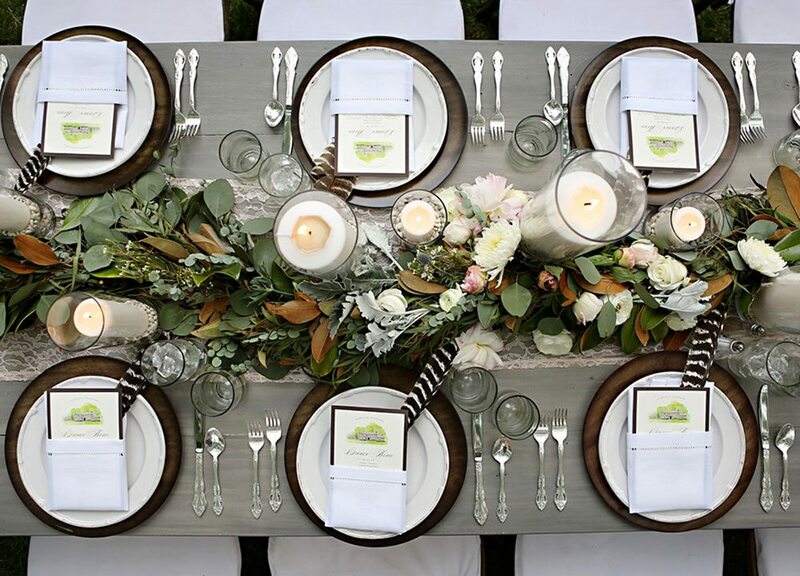 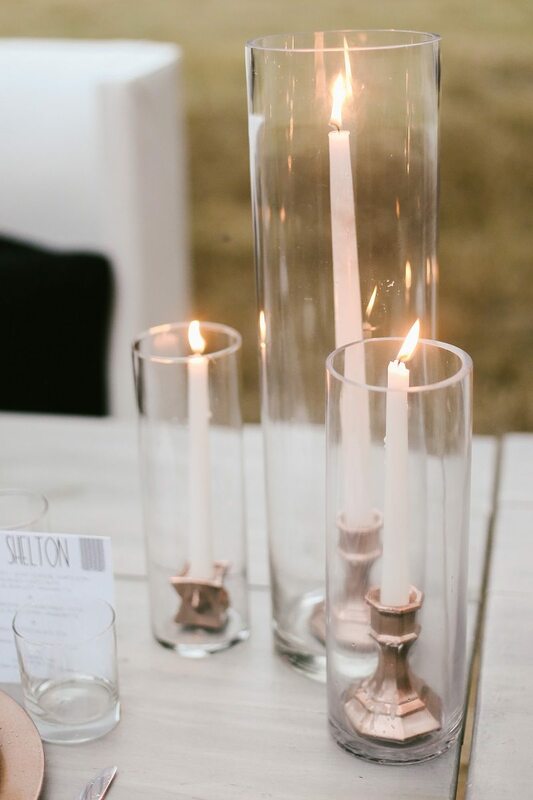 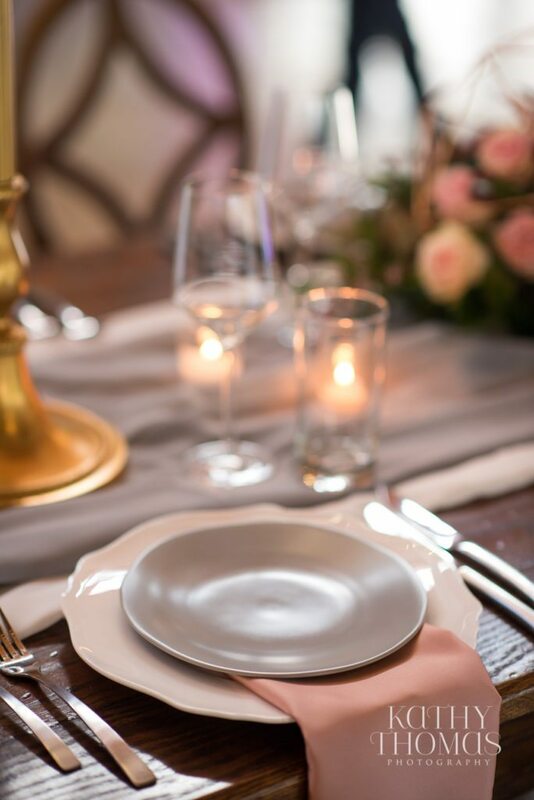 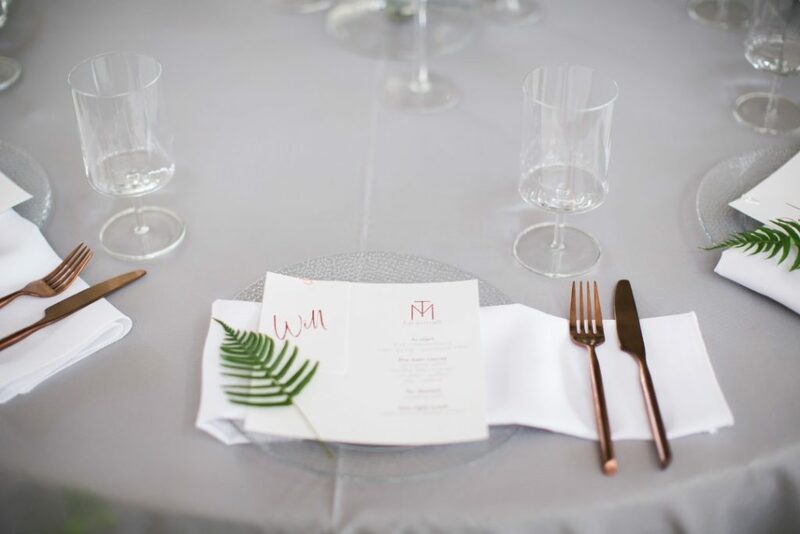 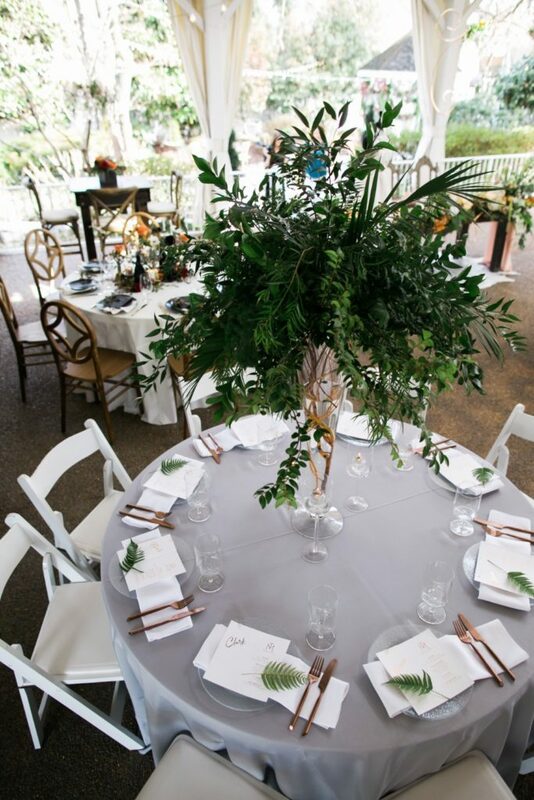 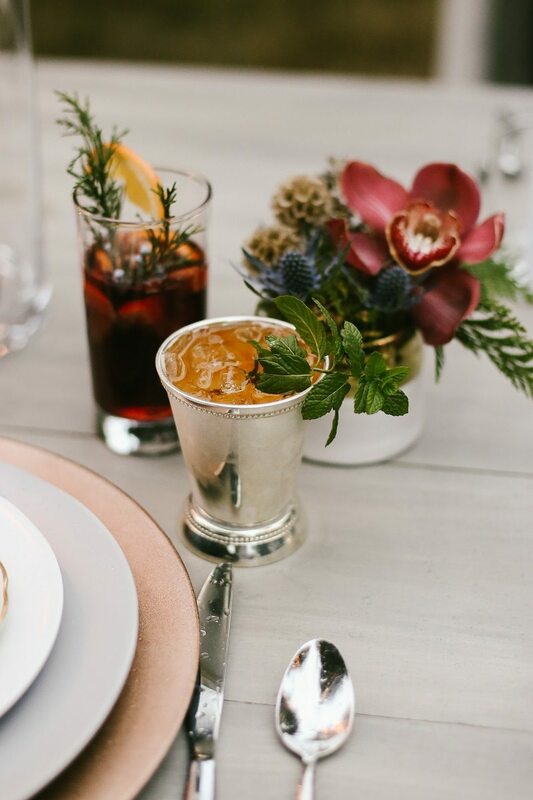 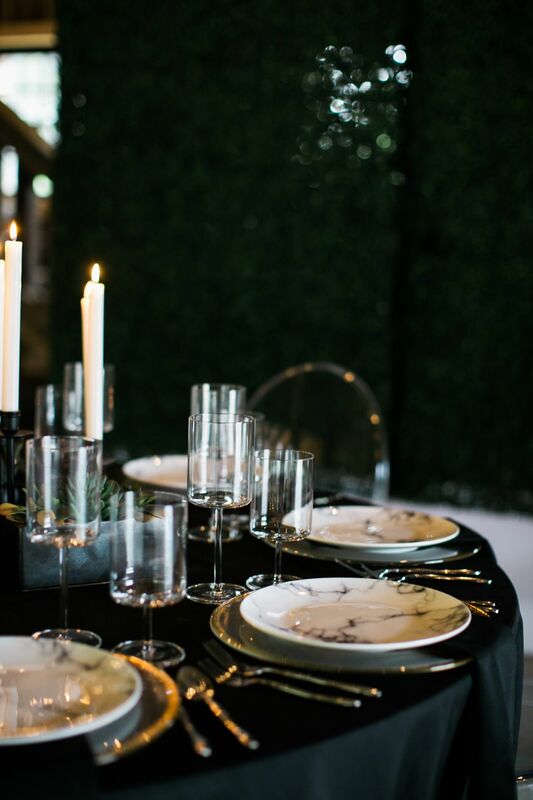 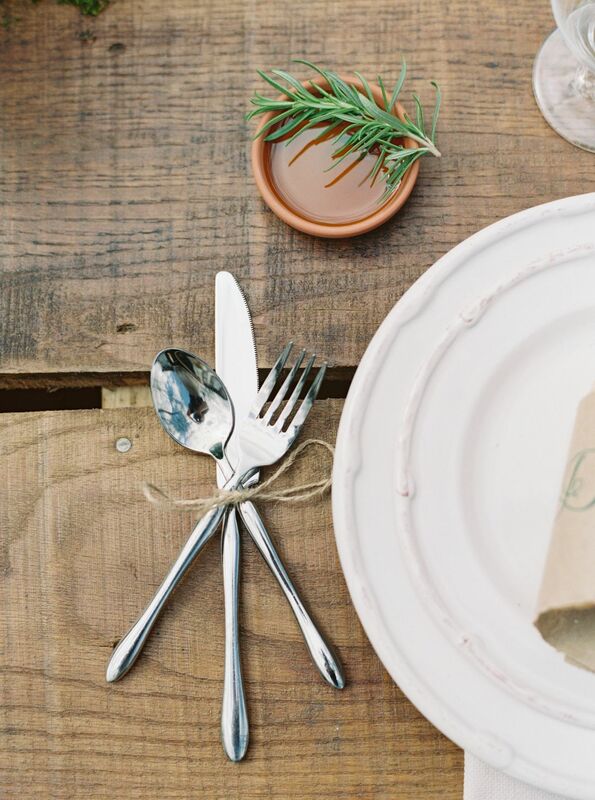 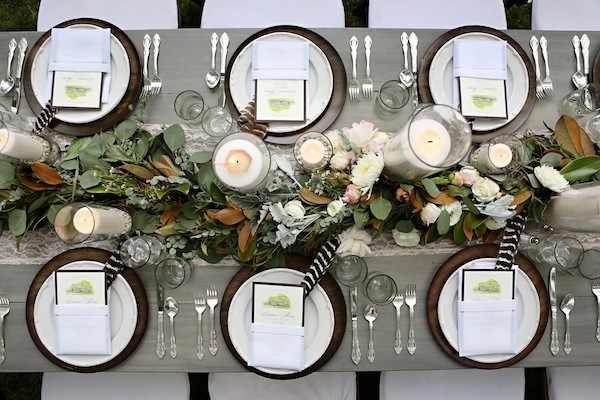 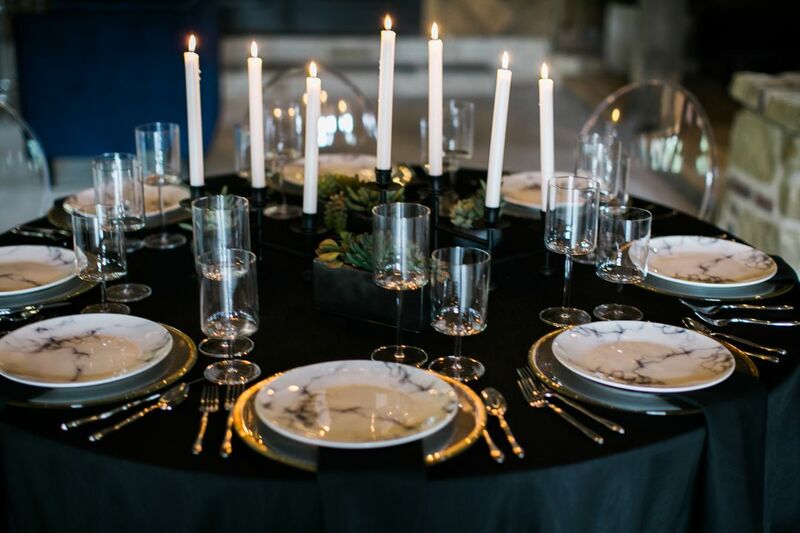 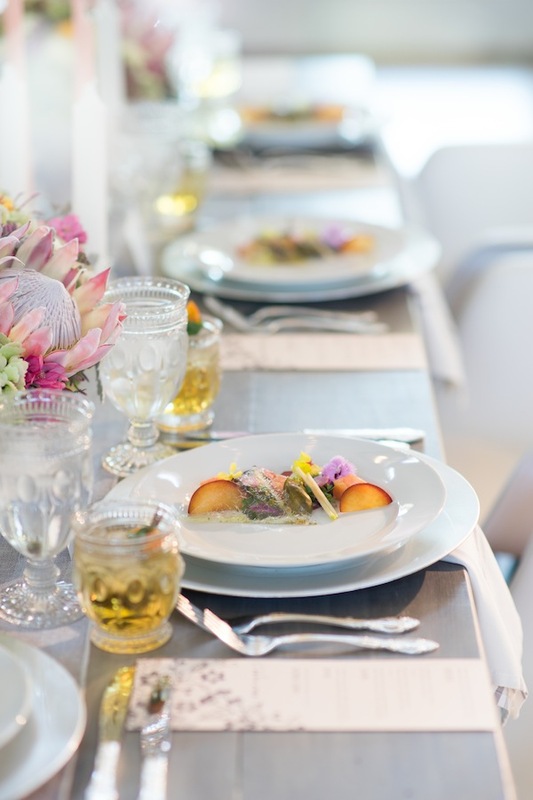 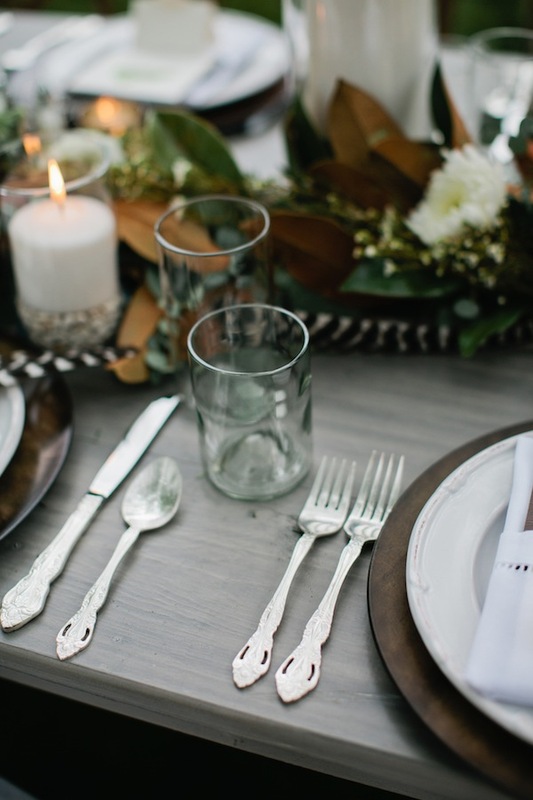 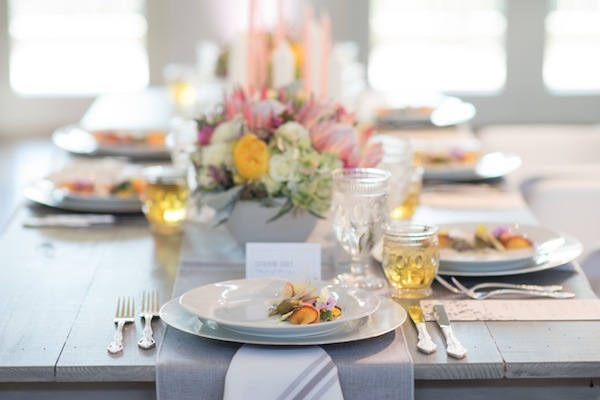 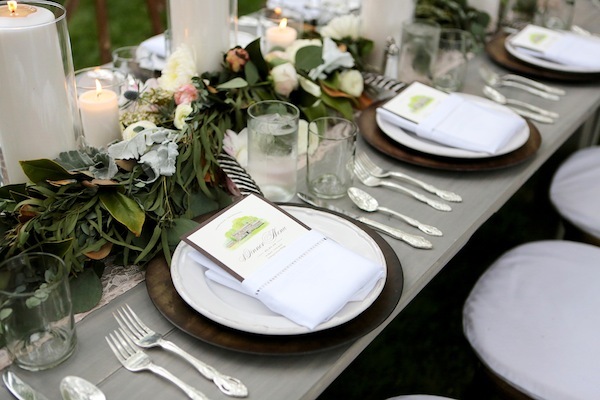 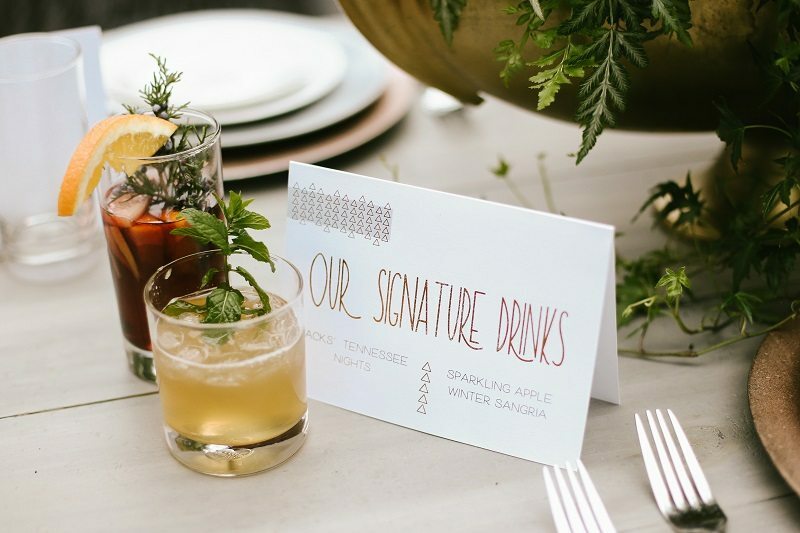 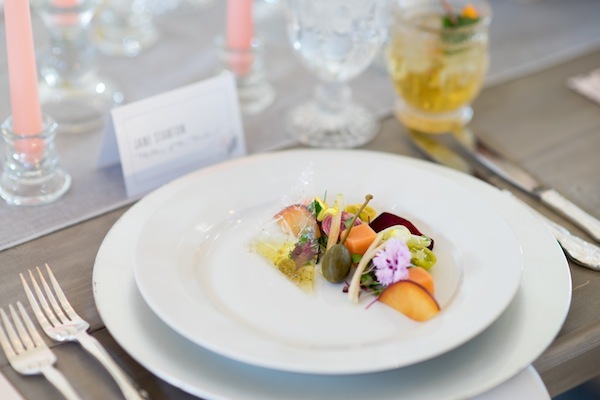 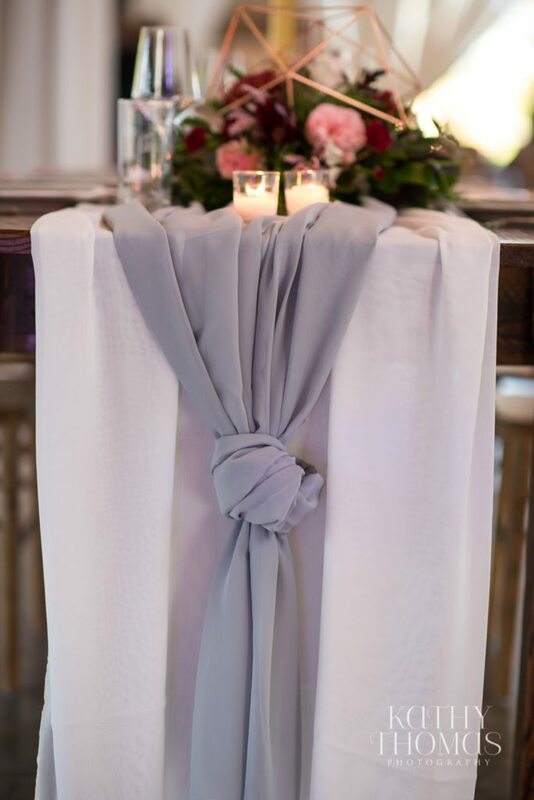 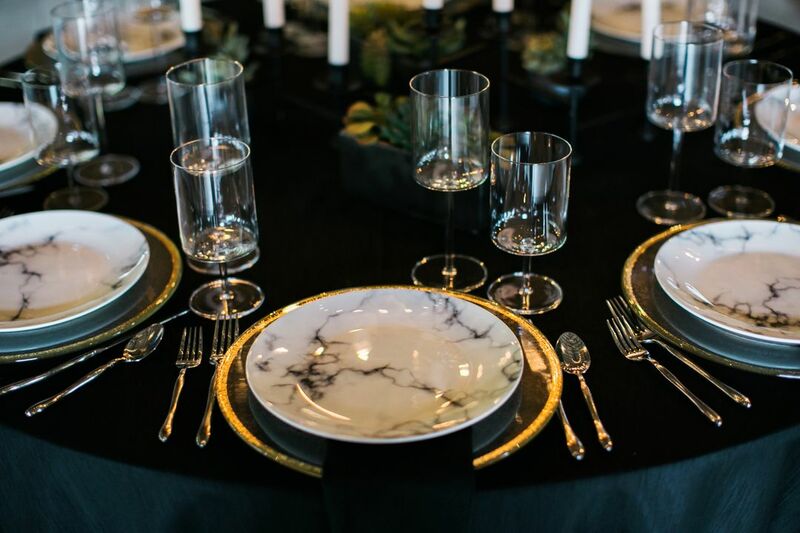 The reception featured our Grayson Farm Tables lined with our Grey Goose table runner and Grey Striped Bistro Napkins, Abbey Fine Flatware, our Classic White China and Hob Nob Glassware. 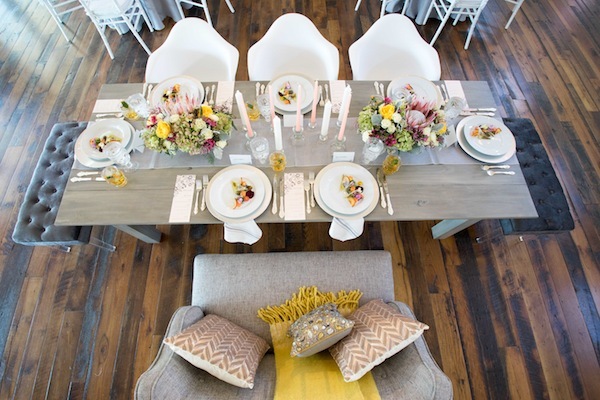 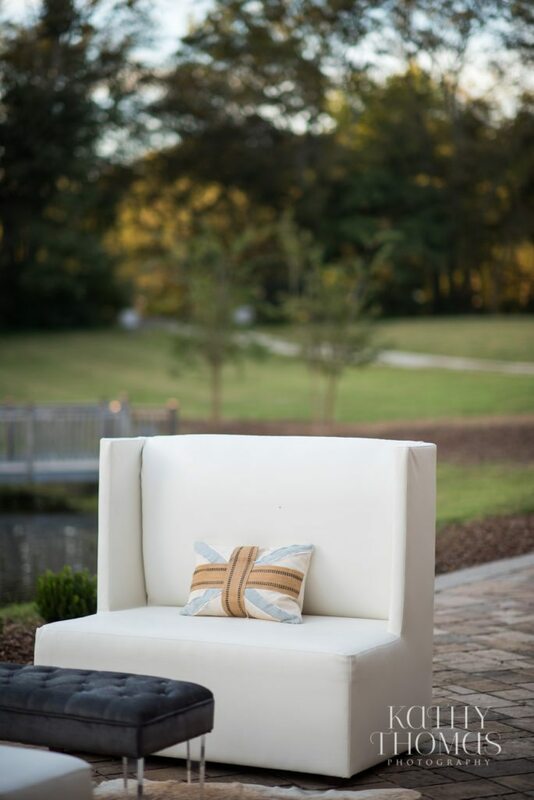 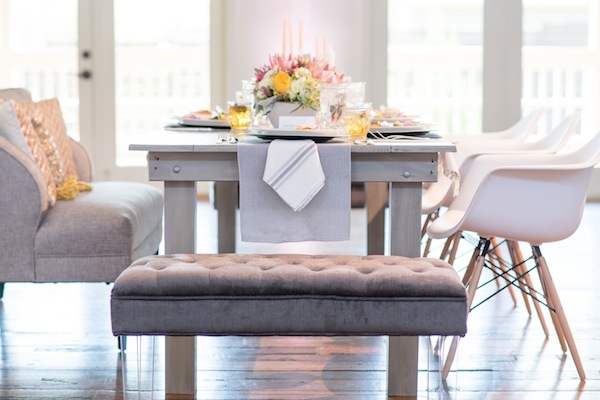 For the reception seating, we paired with our Eiffel White Chairs with our Grey Velour Bench and London Gray Loveseat, accessorized with a mustard yellow blanket and accent pillows. 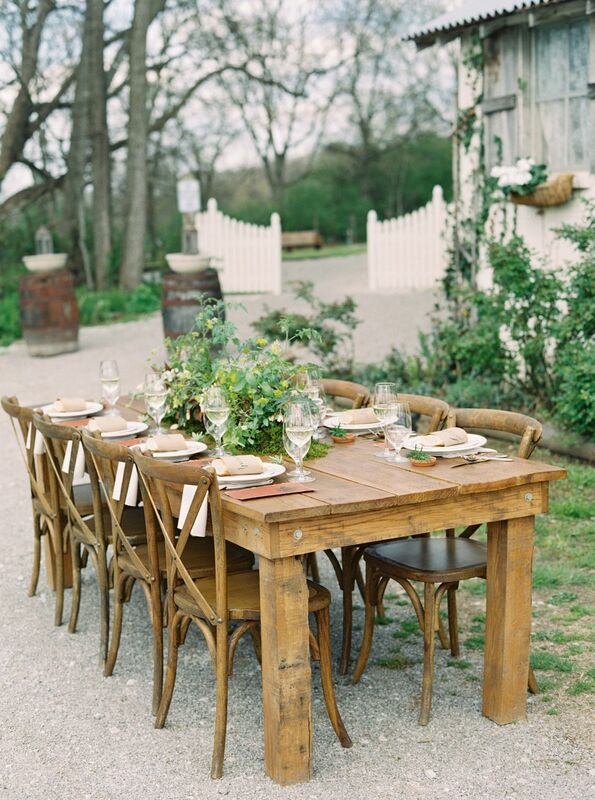 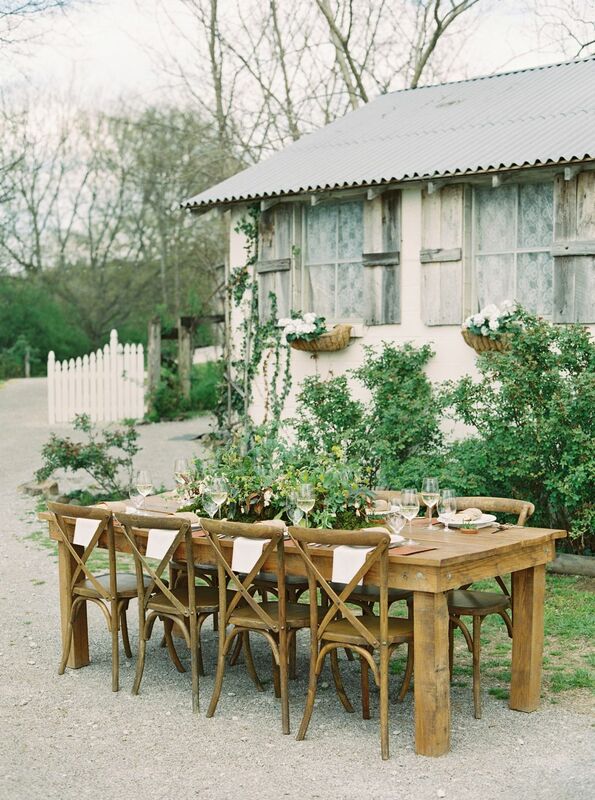 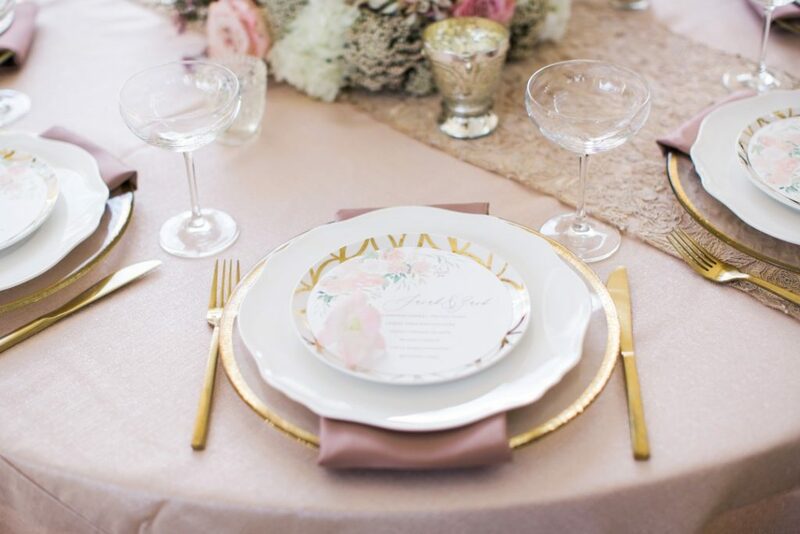 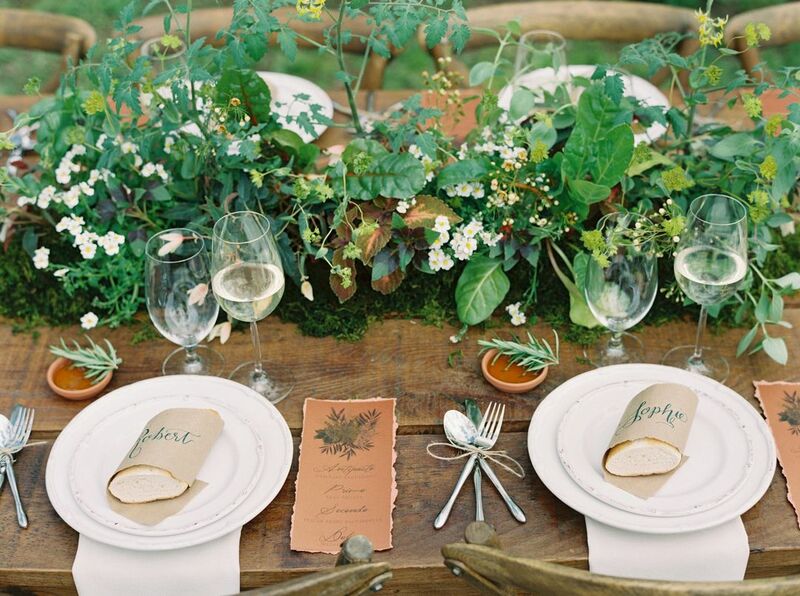 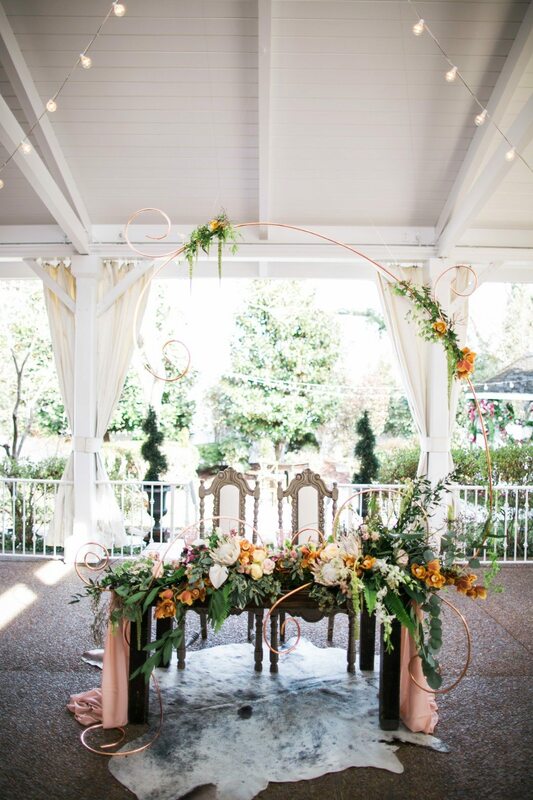 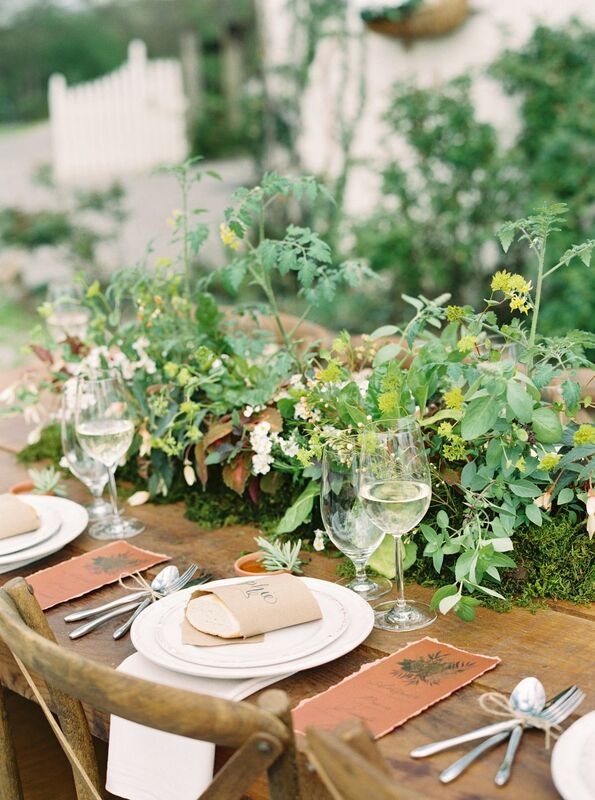 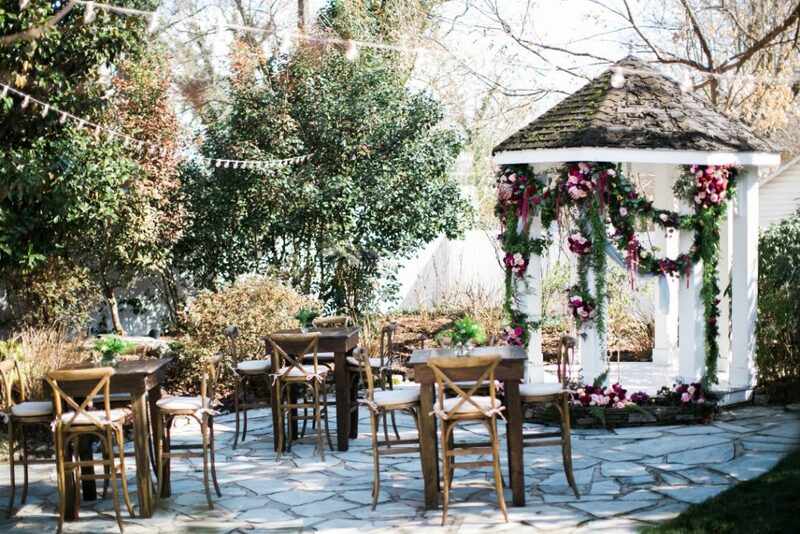 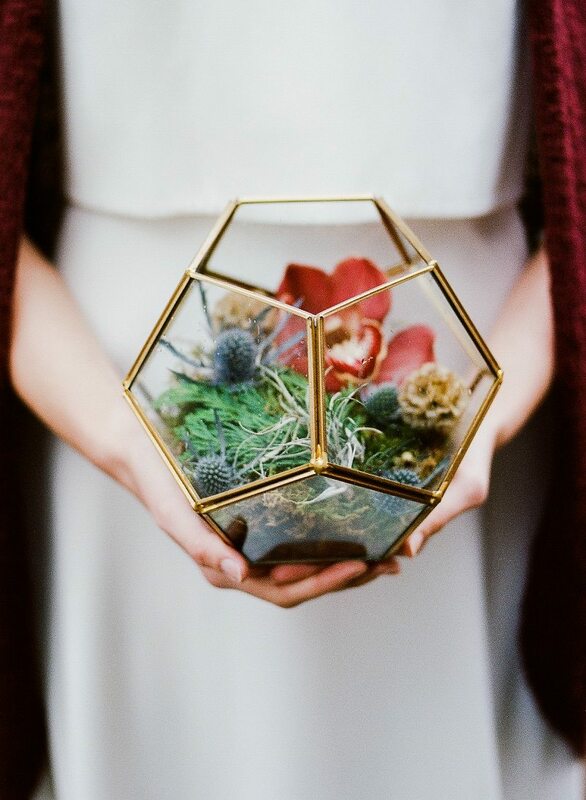 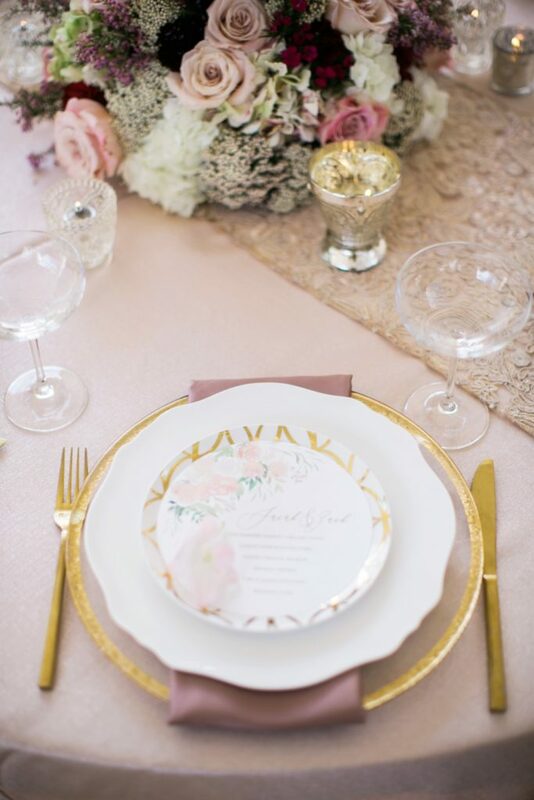 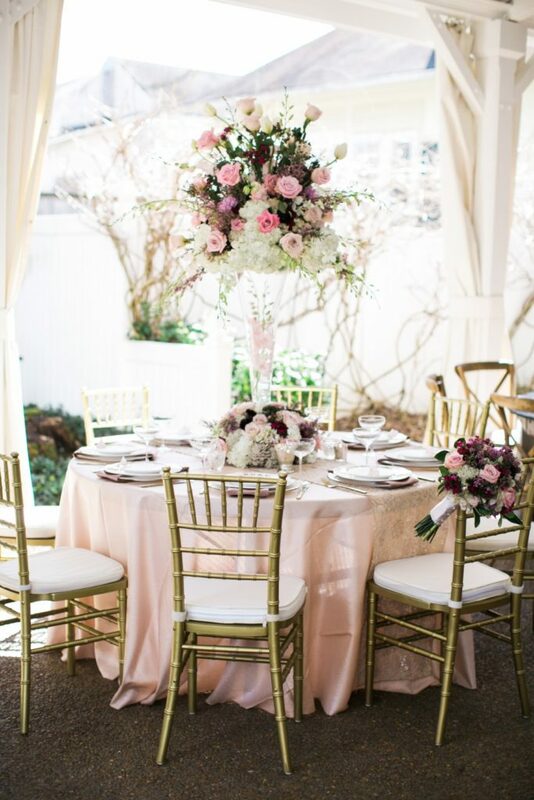 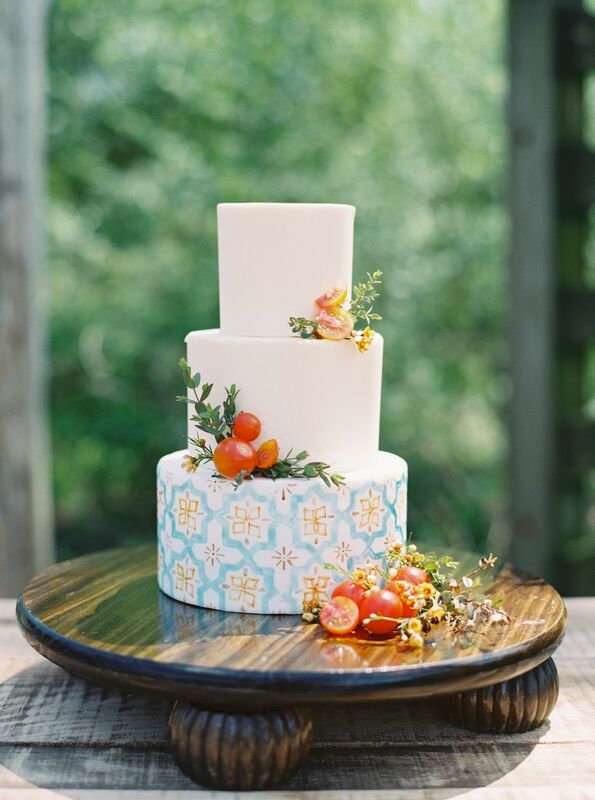 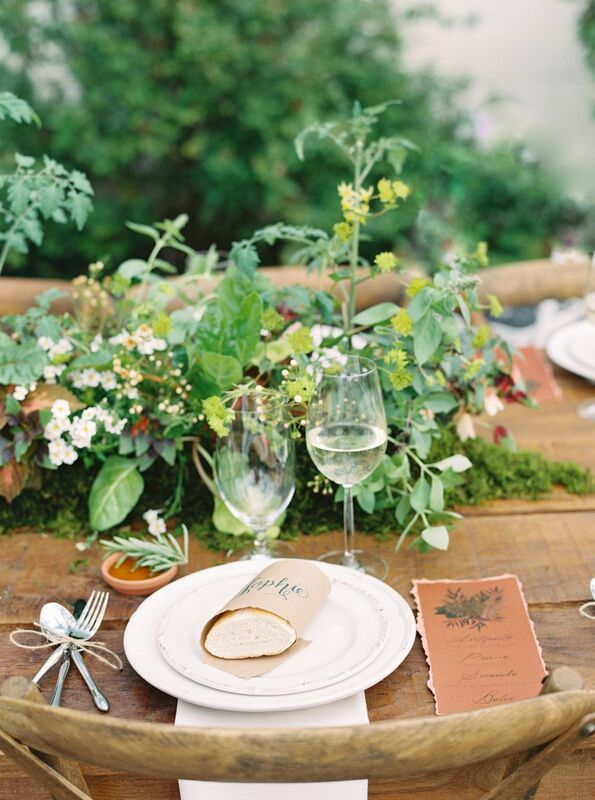 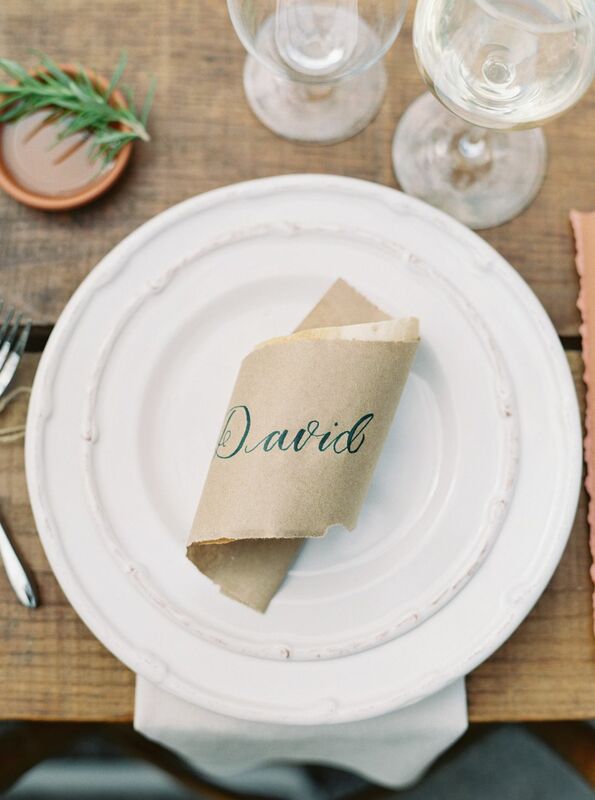 The airy, cheerful design and bright pops of color make this look perfect for a spring or summer wedding! 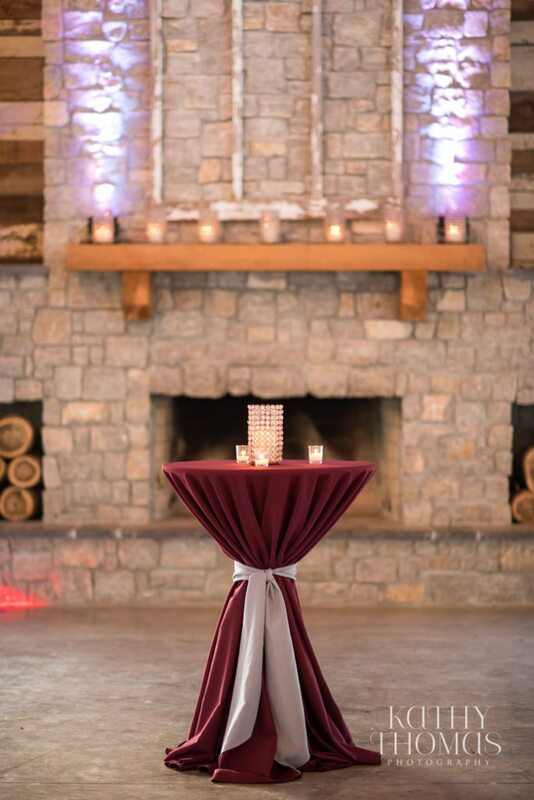 Thanks again to Bruce for creating such a beautiful style and to Readylight Media for the images. 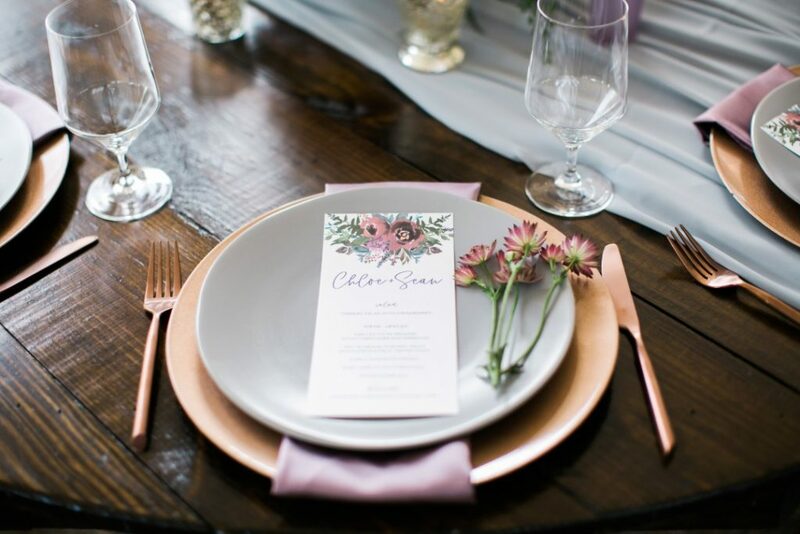 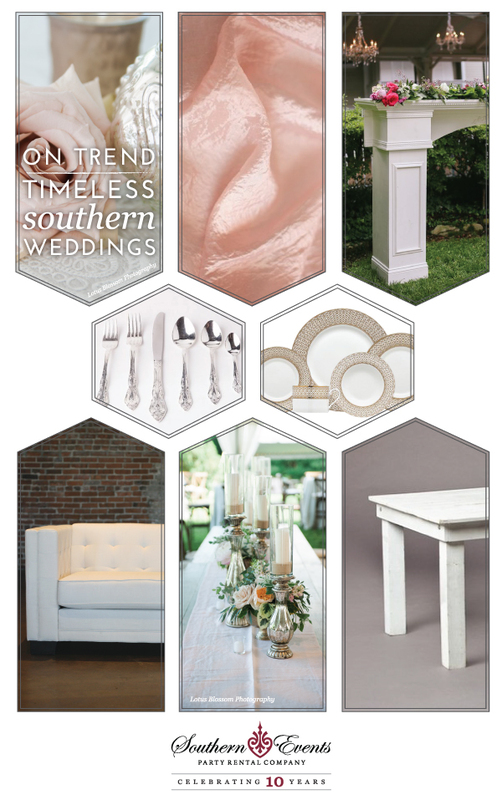 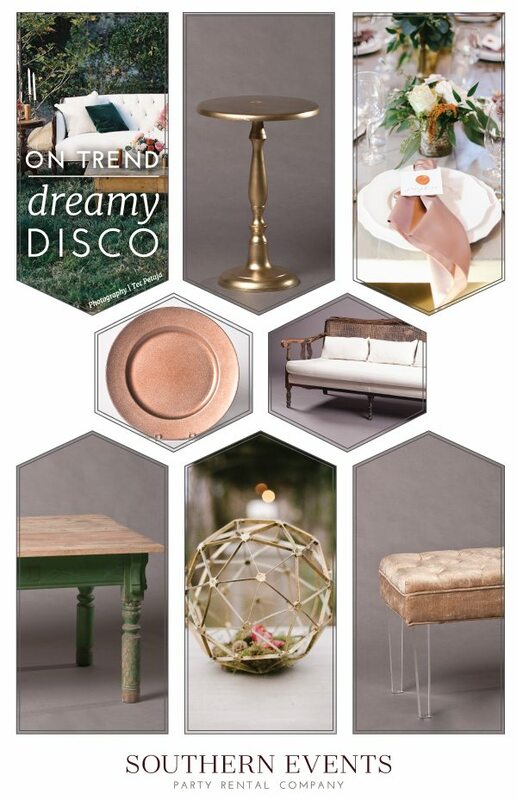 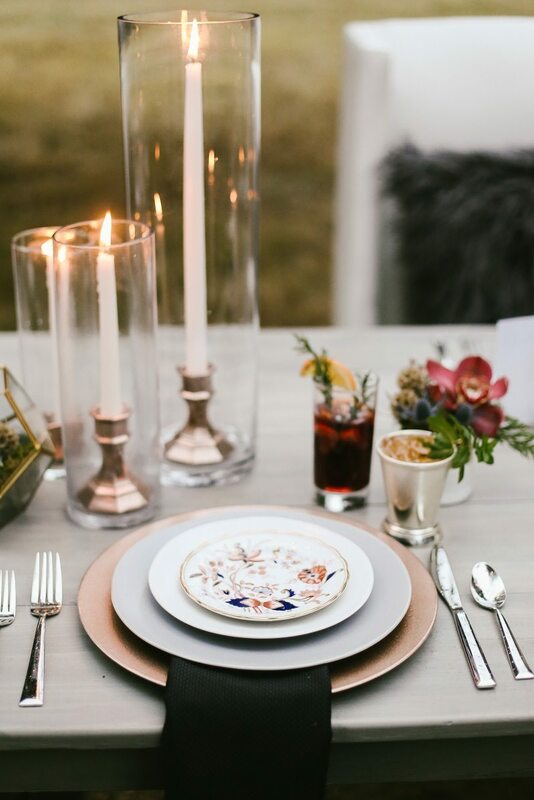 Product Details: White-Washed Farm Table, Ice Pink Fairmont Runner, Ophelia Gold-Rimmed China, Abbey Fine Silver Flatware, Assorted Mercury Glass Votives, Santorini Lounge Furniture, and the Fiona Mantle.